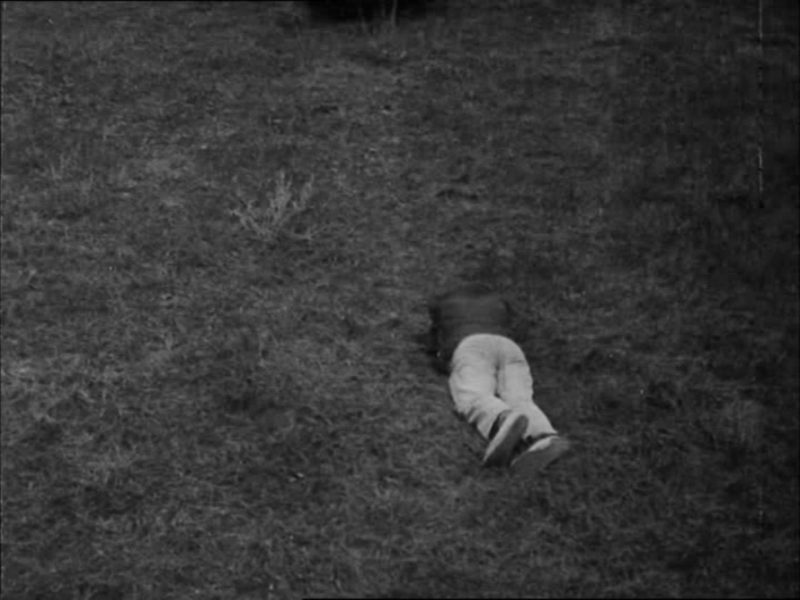 This is sluice no. 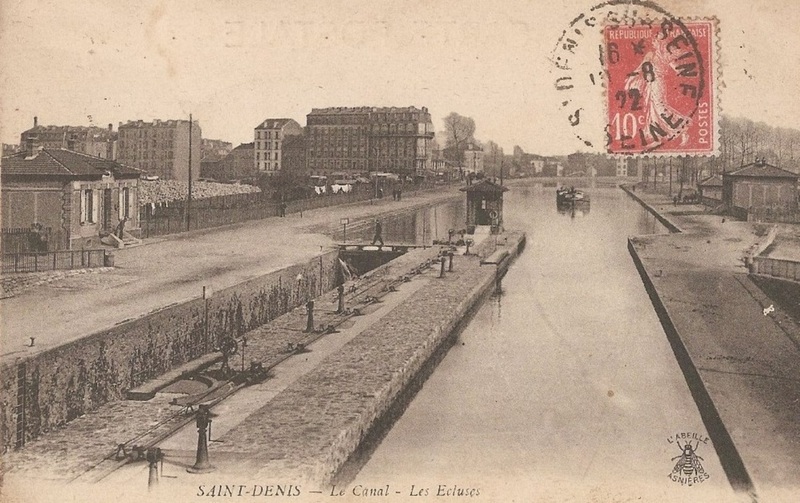 5, in Saint Denis. 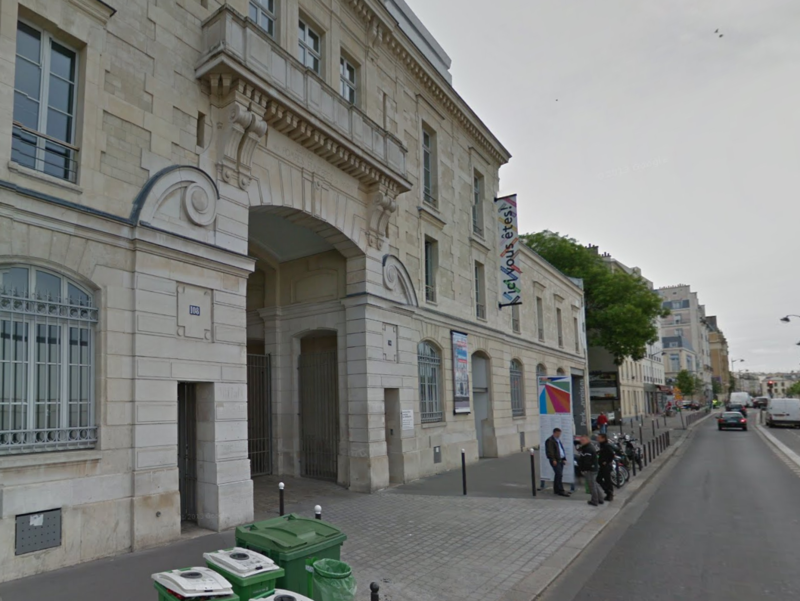 This building is now Le Centquatre, a government-sponsored complex of studios for the arts. 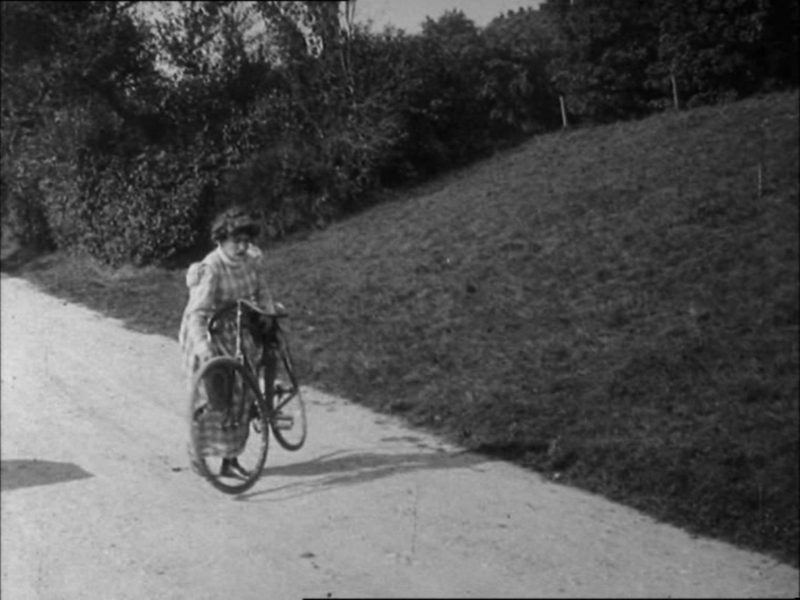 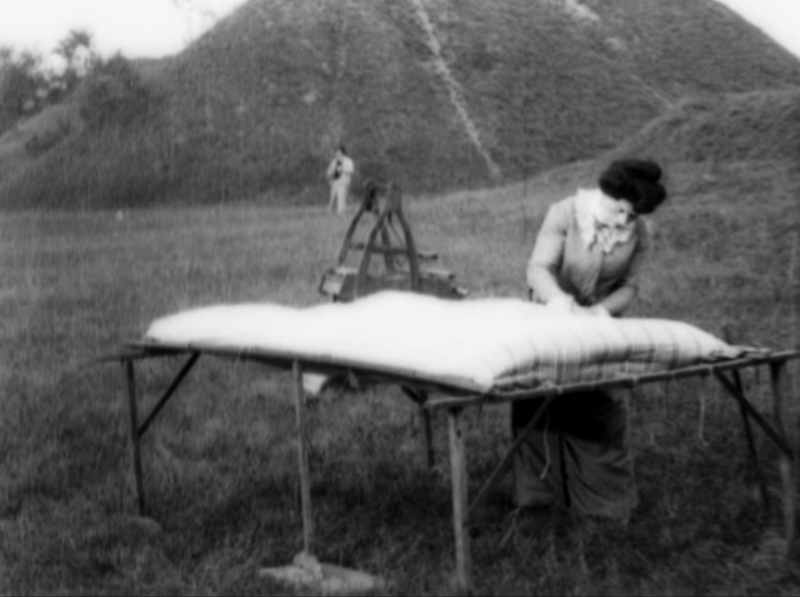 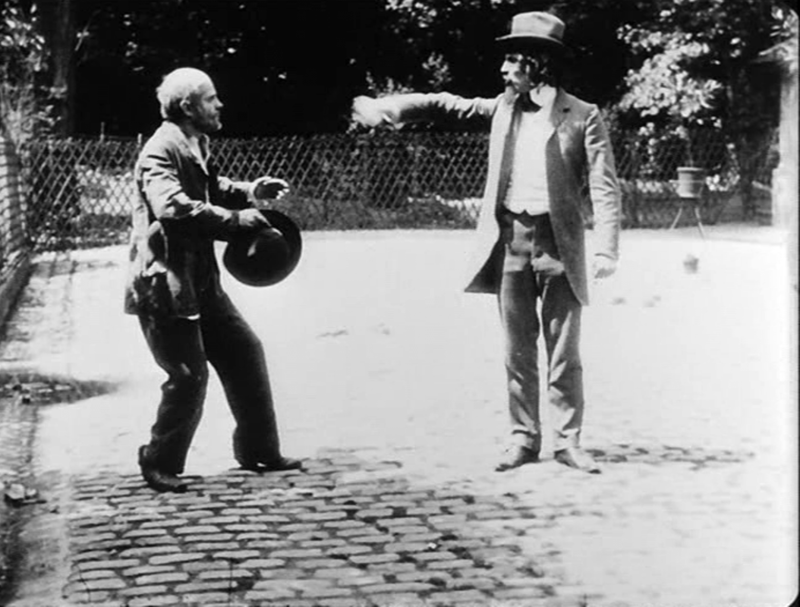 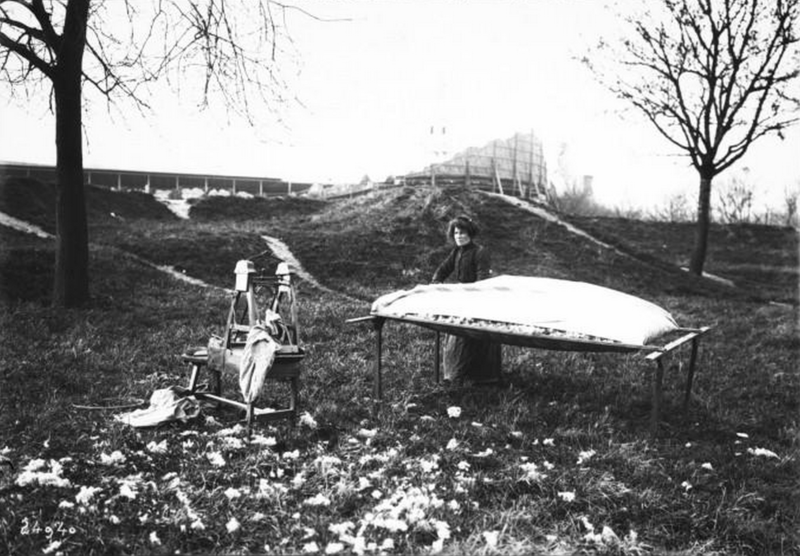 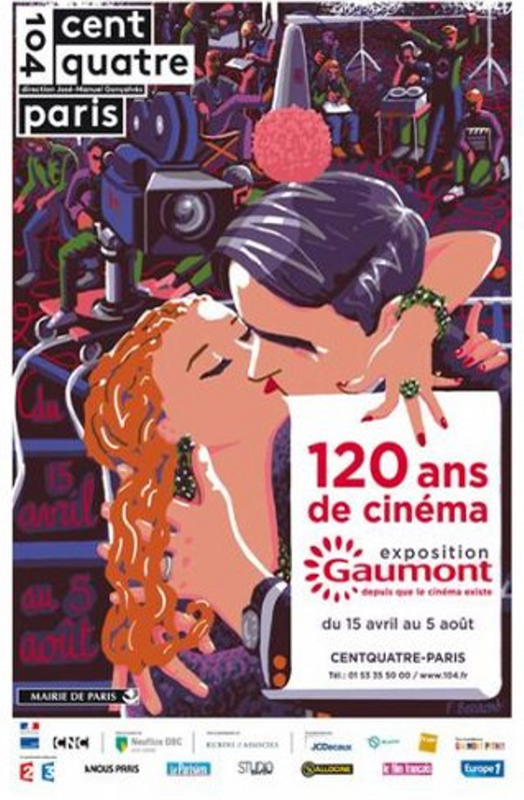 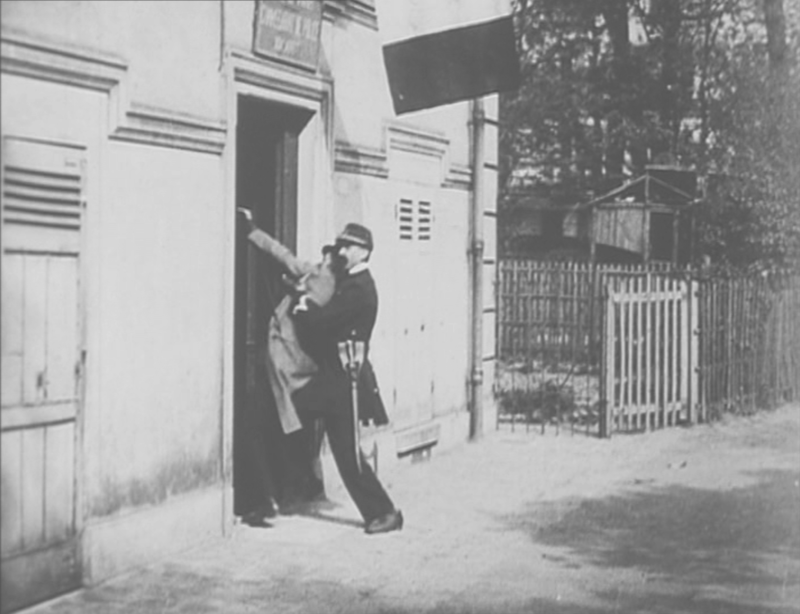 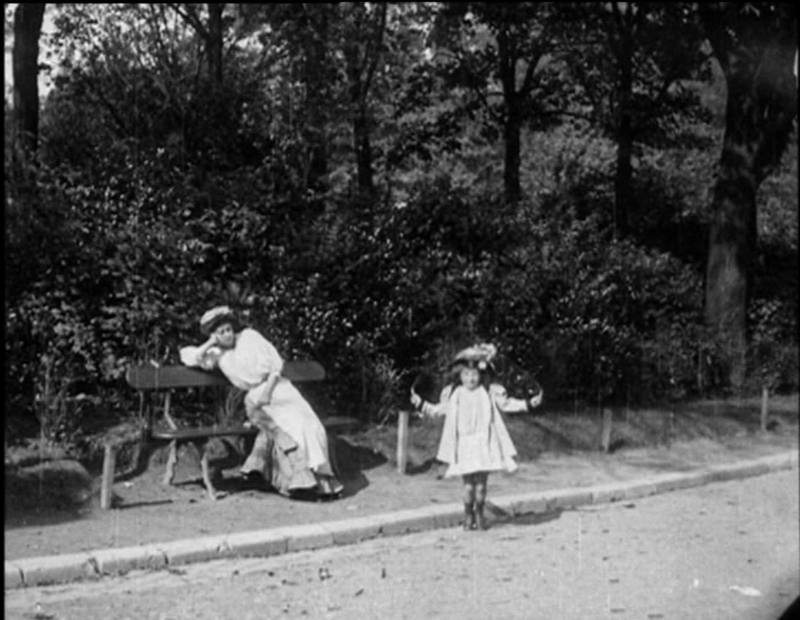 Between April and August 2015 the 104 will be hosting a Gaumont exhibition celebrating 120 years of cinema, organised by Dominique Paini: see here. 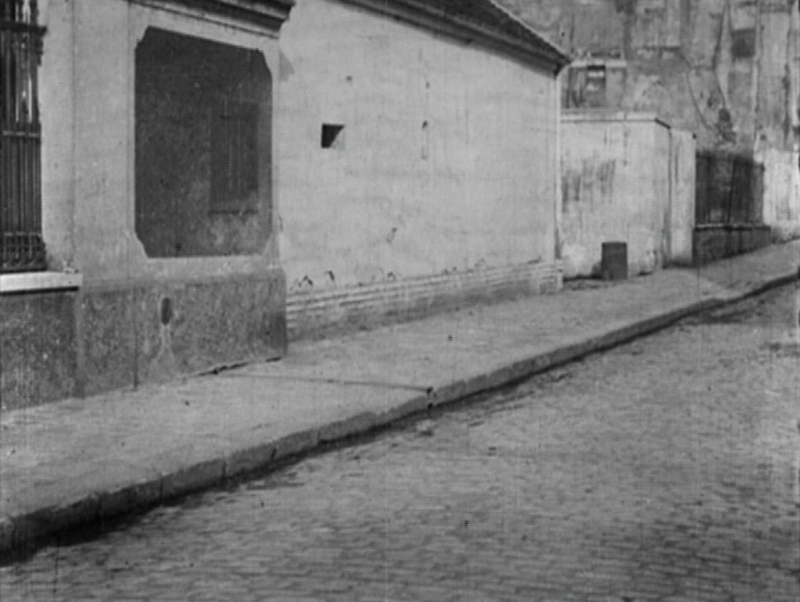 The first exterior view is of a rough-looking building on a slightly sloping street, as yet unidentified. 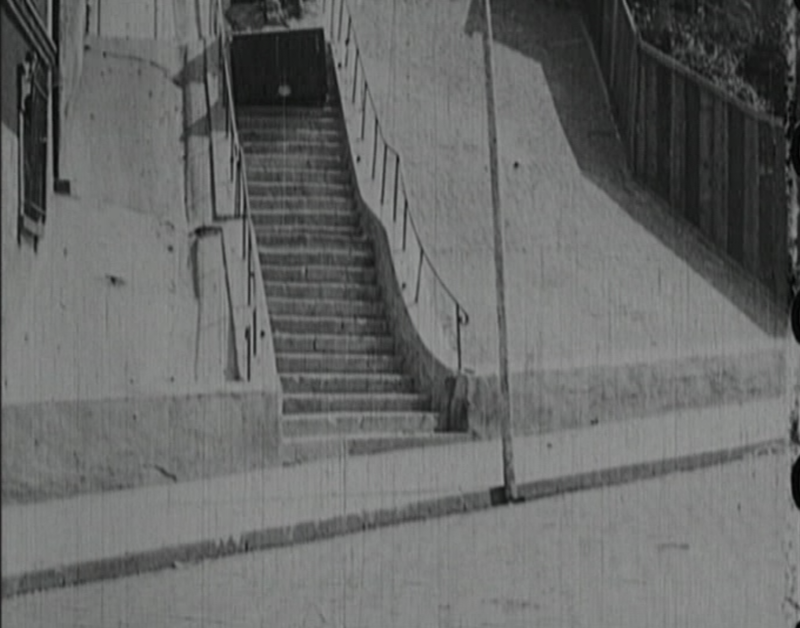 It could be one of about twenty sloping streets in the vicinity of the studio. 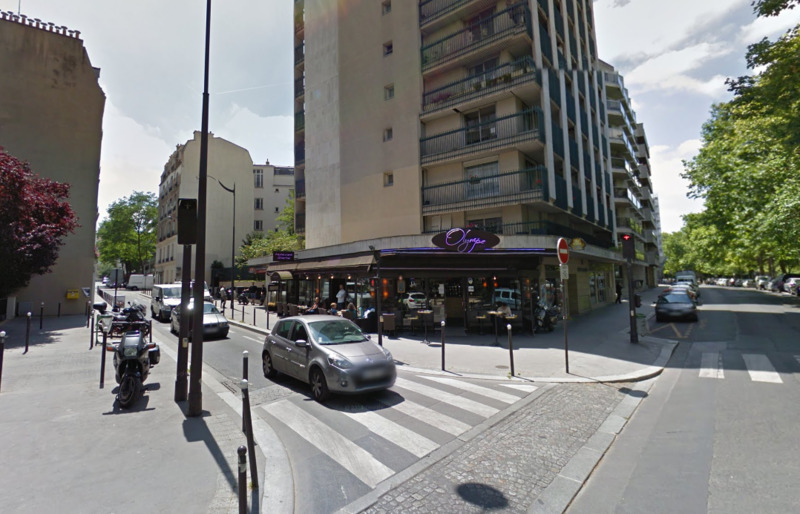 The first of these is at the junction of the rue de Mouzaïa and the rue Compans, just above the 'm' of Compans. 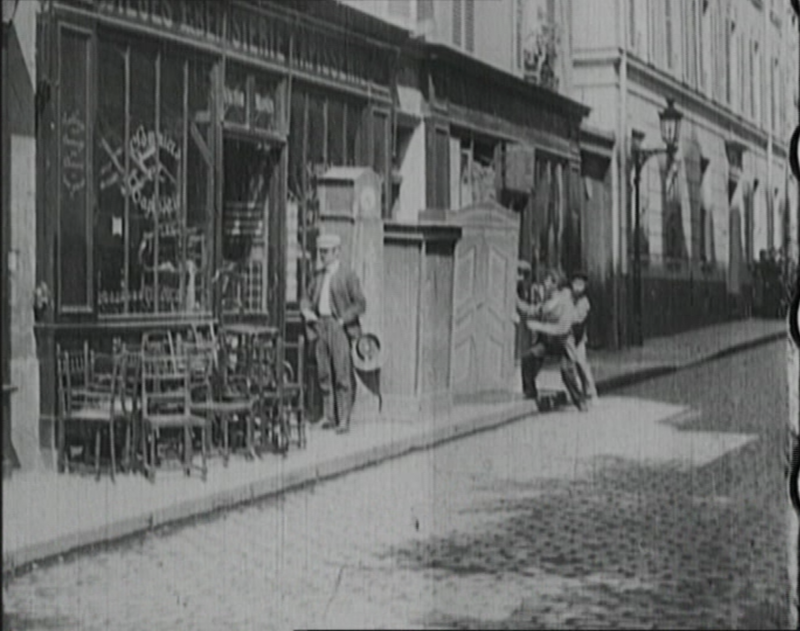 The second is further north, across the junction - the café to the fore in the image left is the same one we see at the back of the image right. 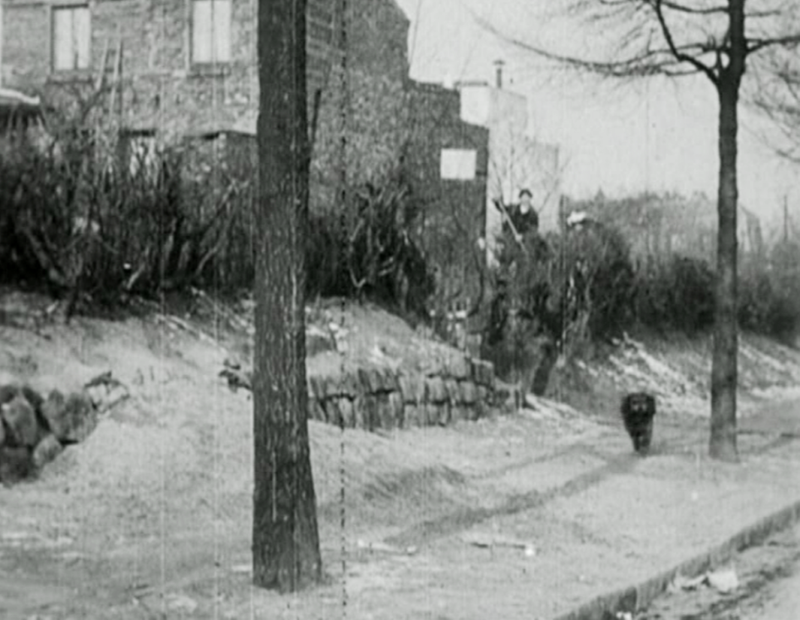 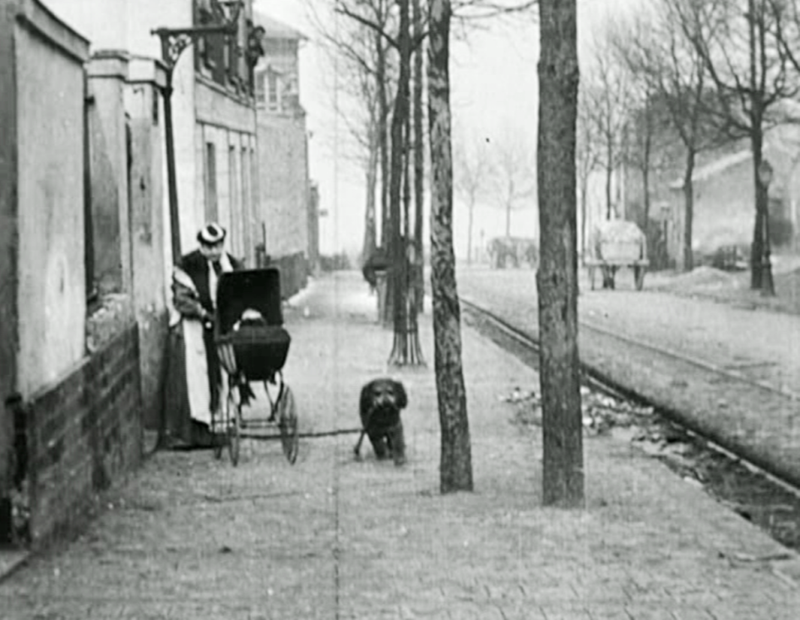 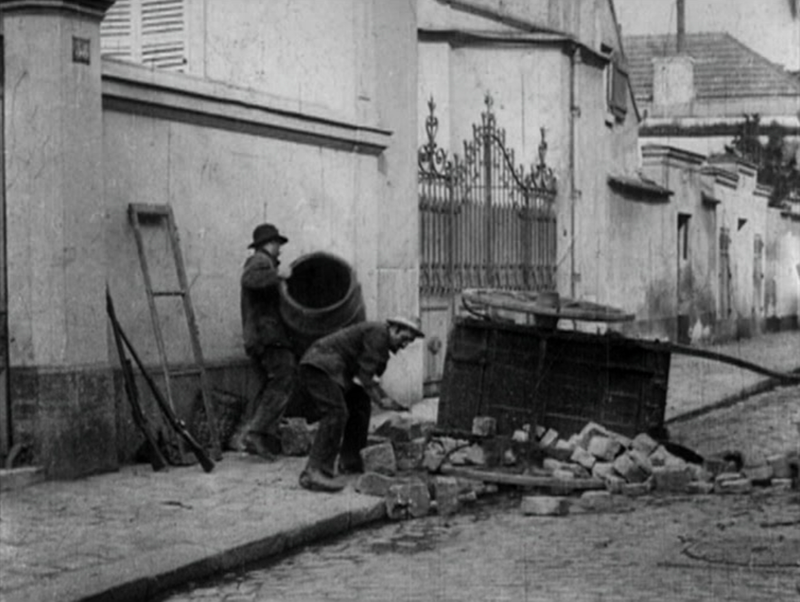 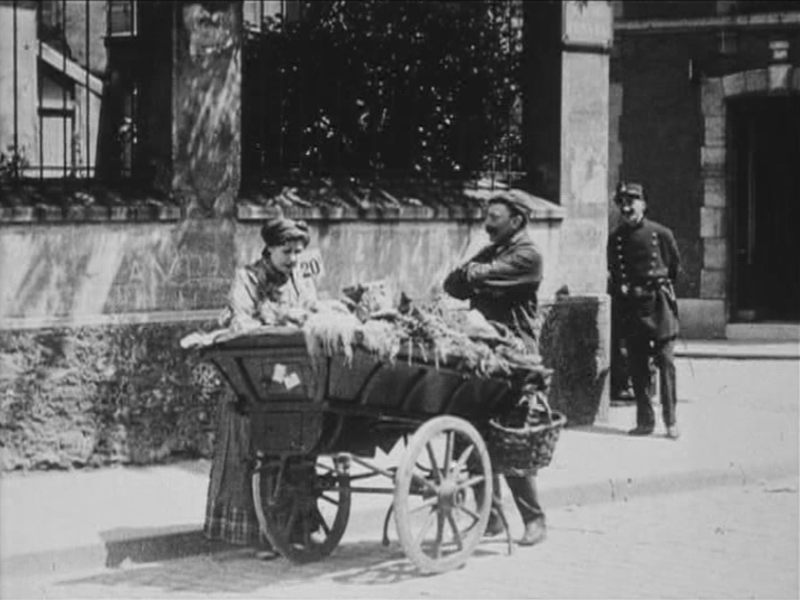 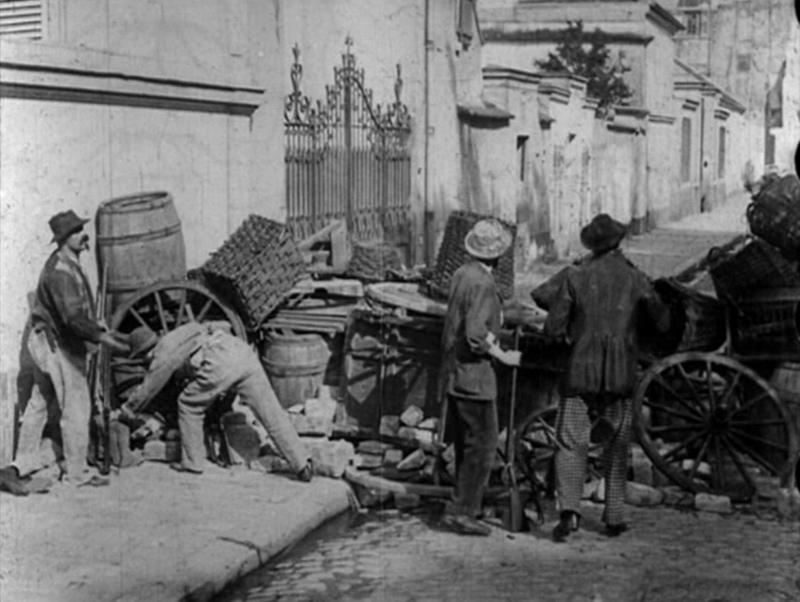 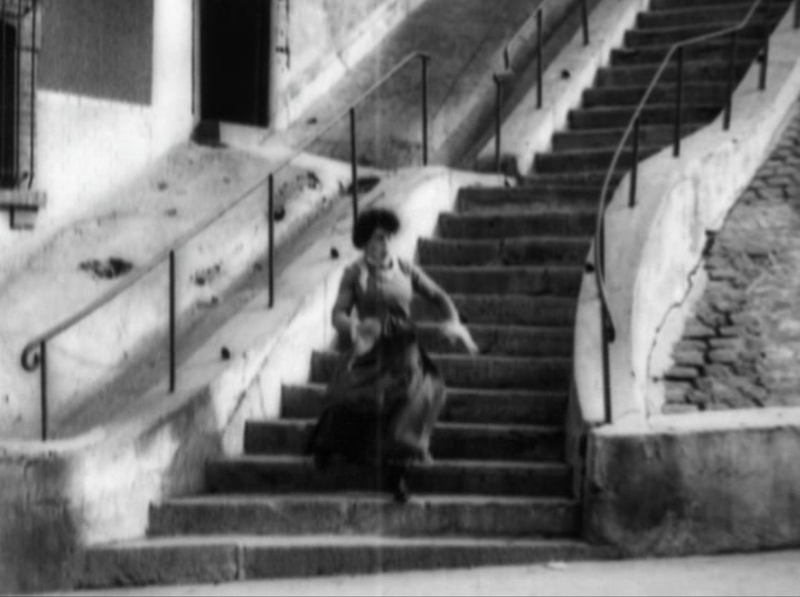 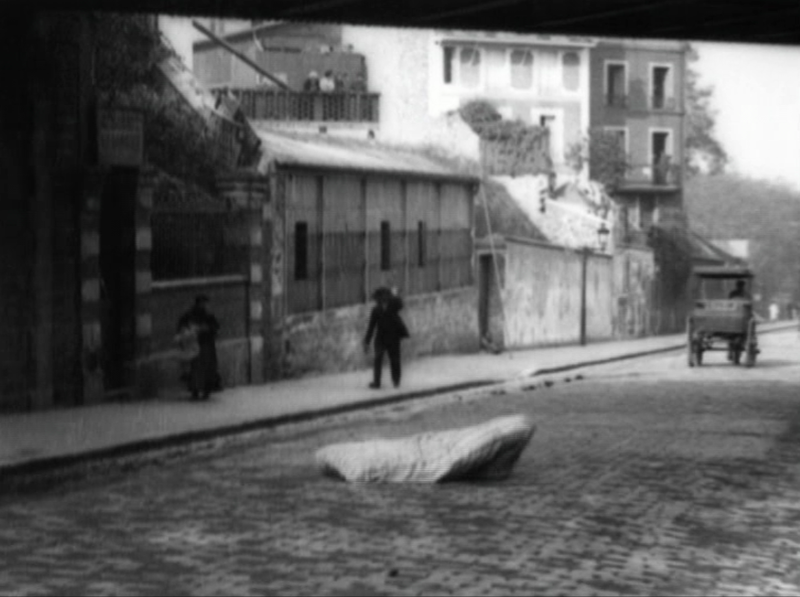 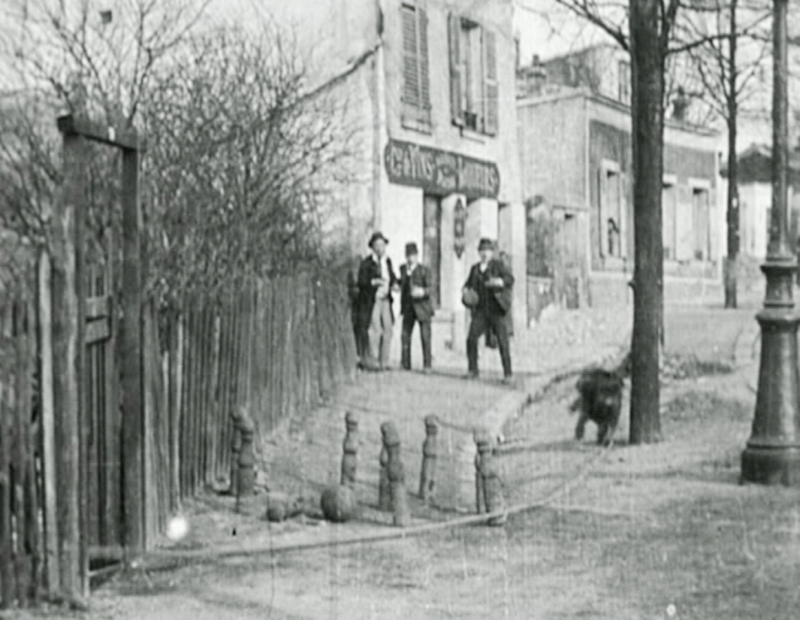 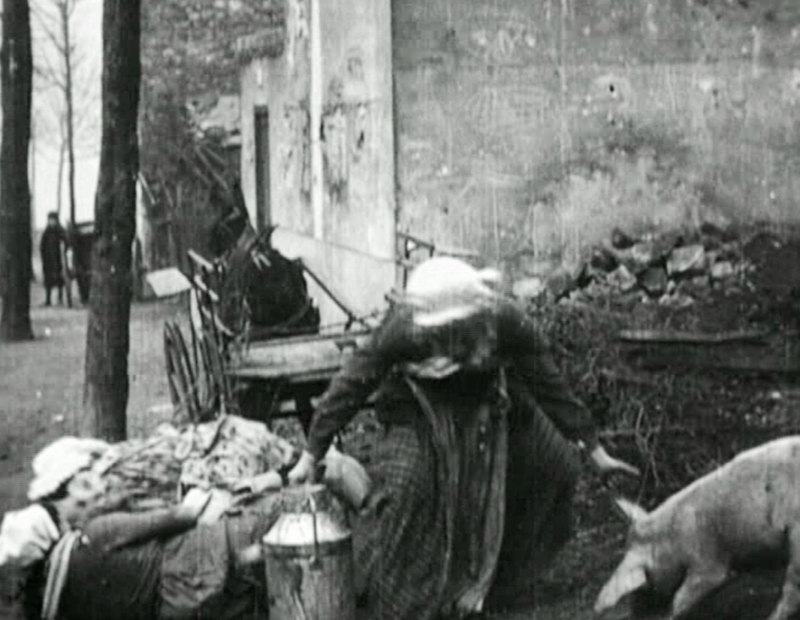 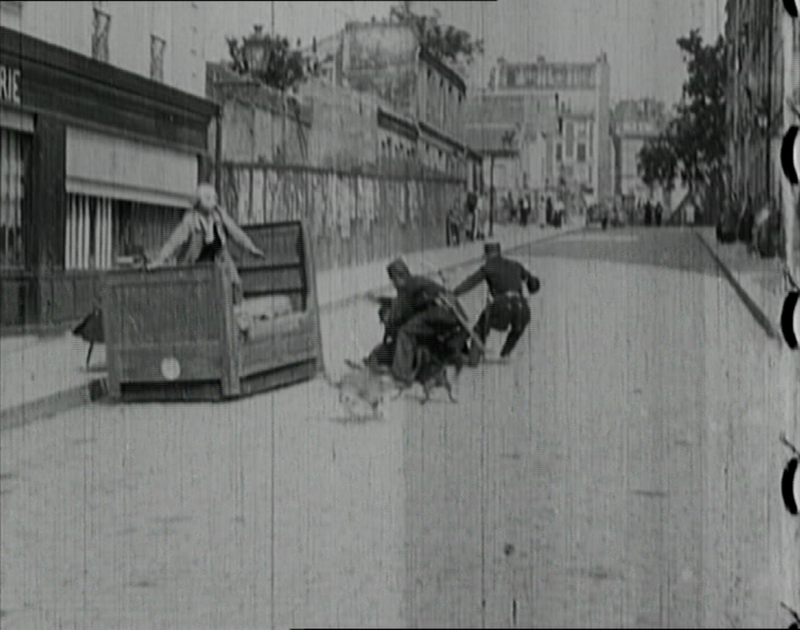 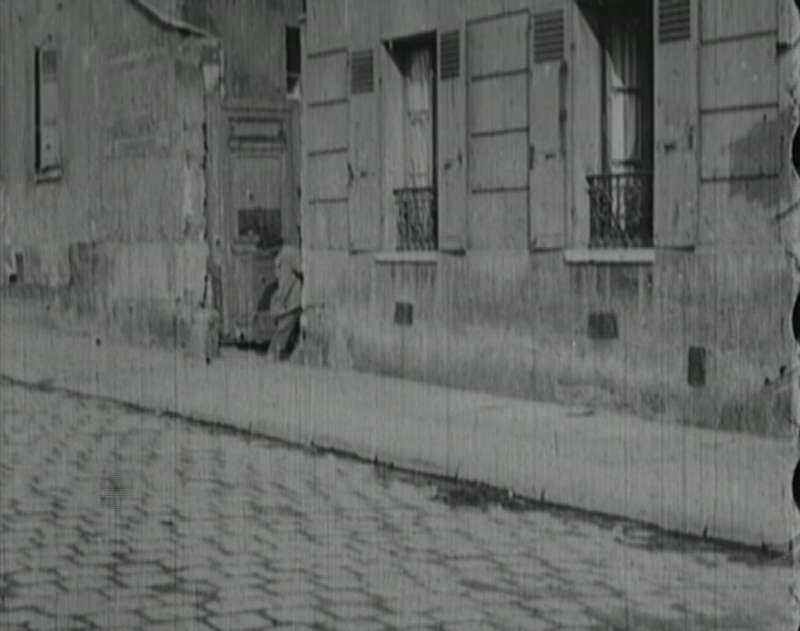 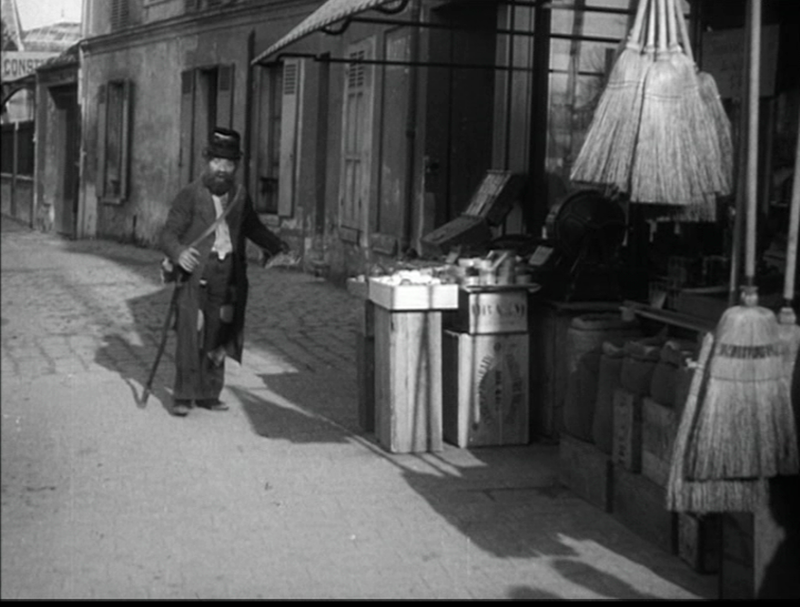 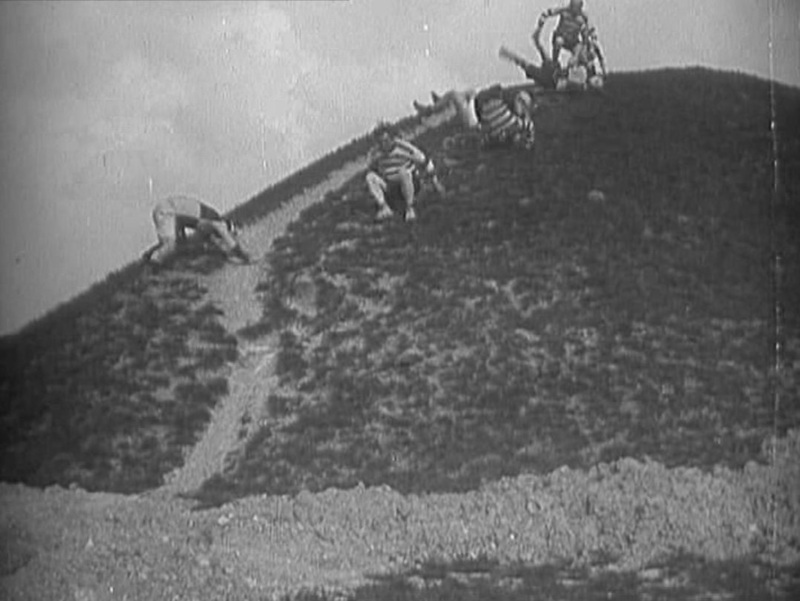 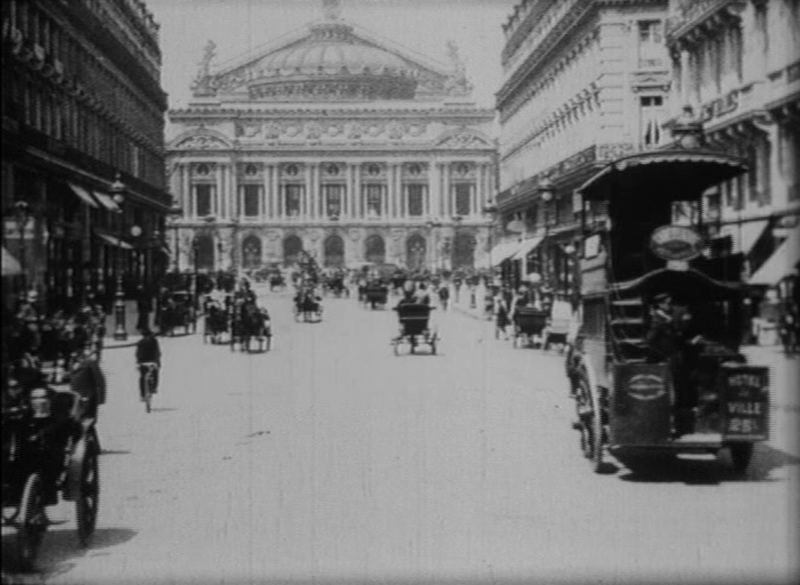 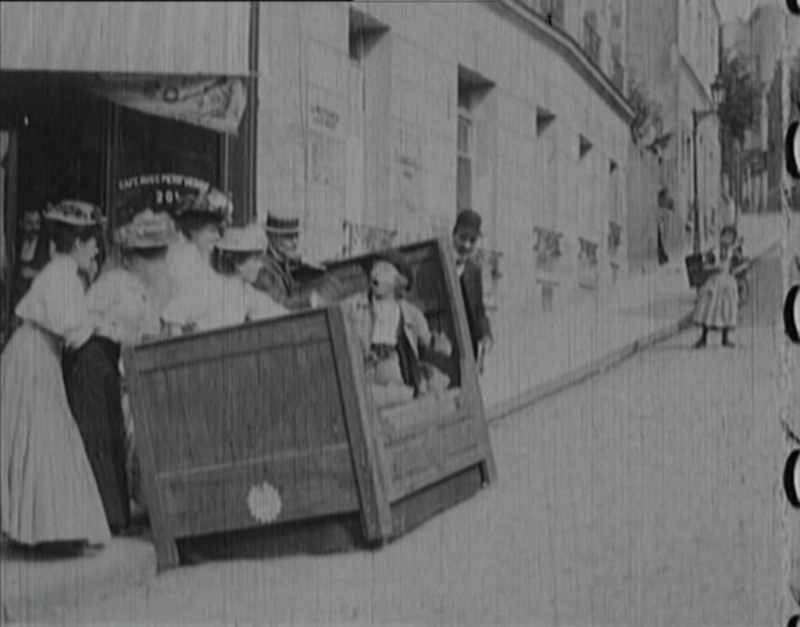 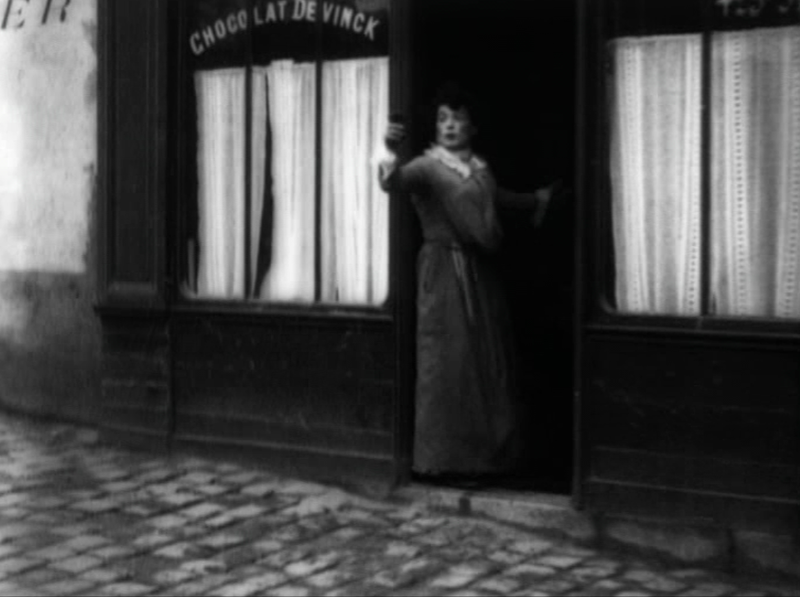 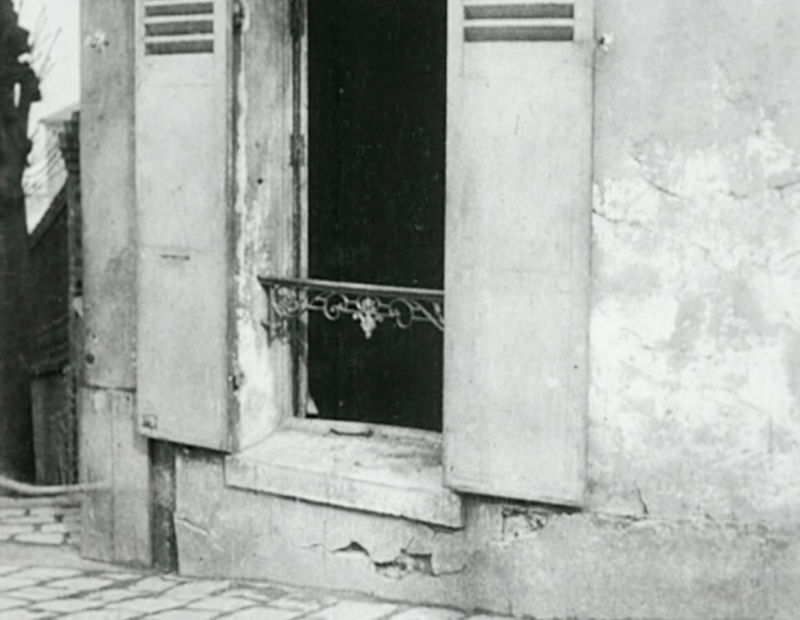 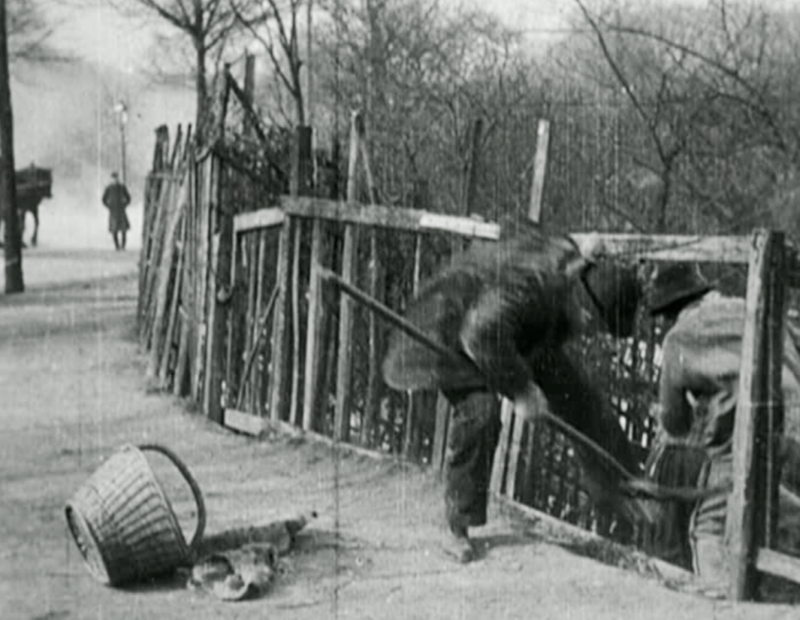 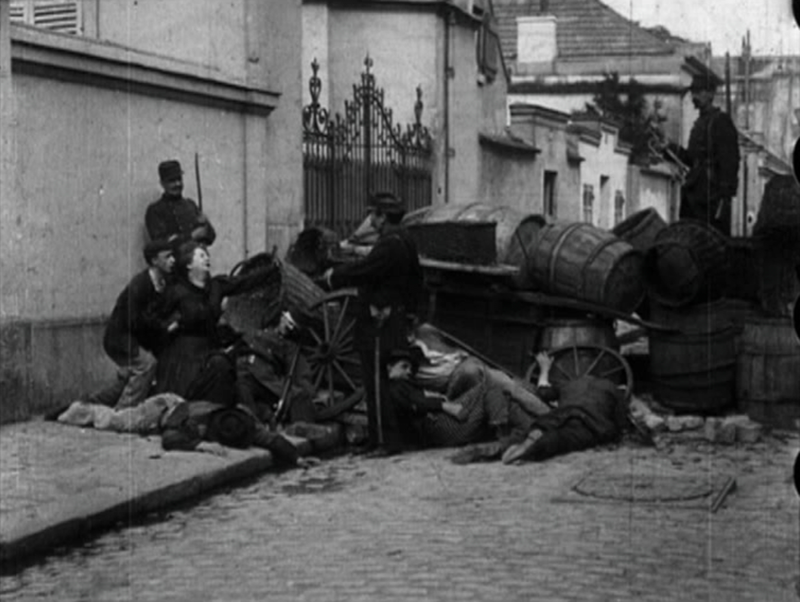 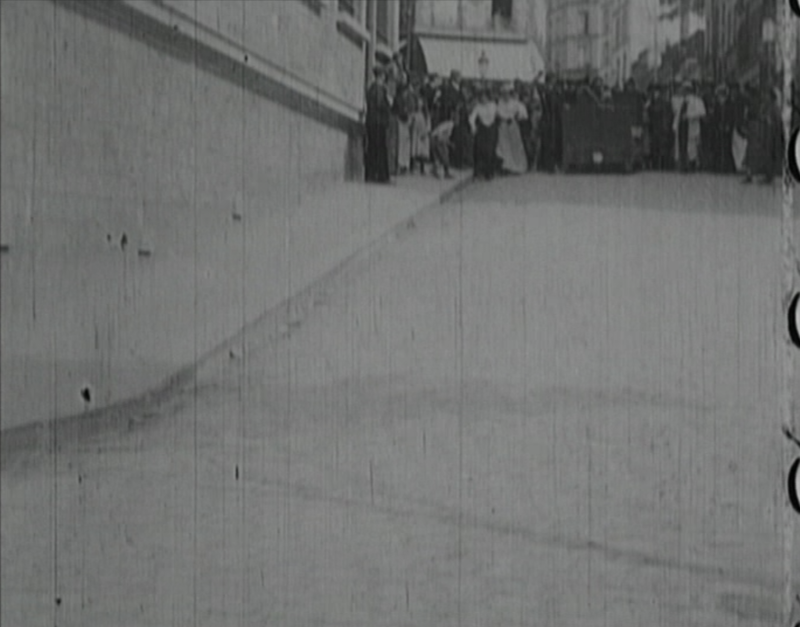 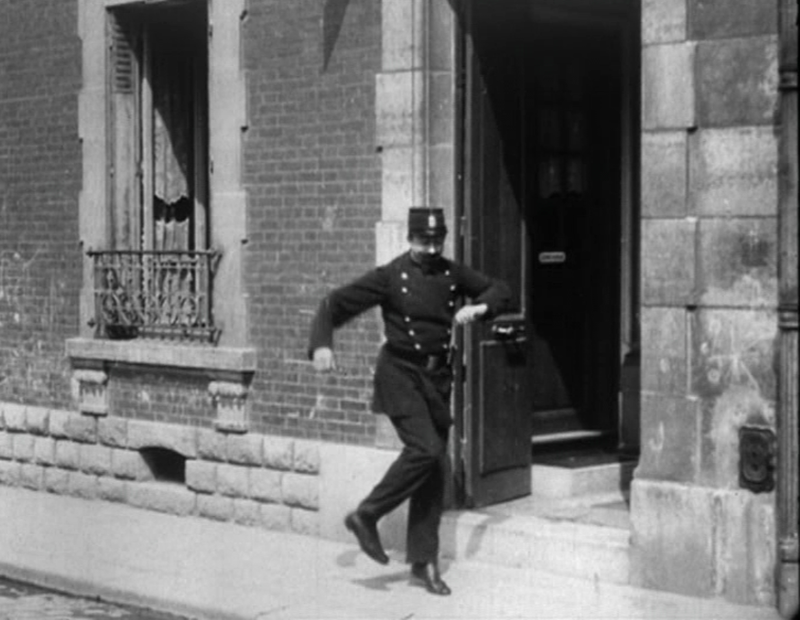 This sequence of shots is topographically coherent, inviting us to speculate that the shot preceding them was further up the rue Compans, but there are no buildings of the period that match. 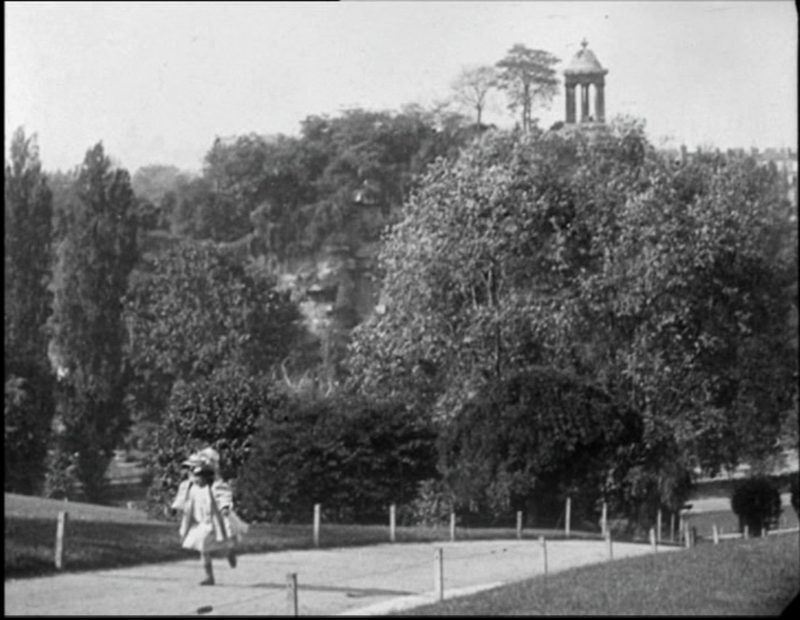 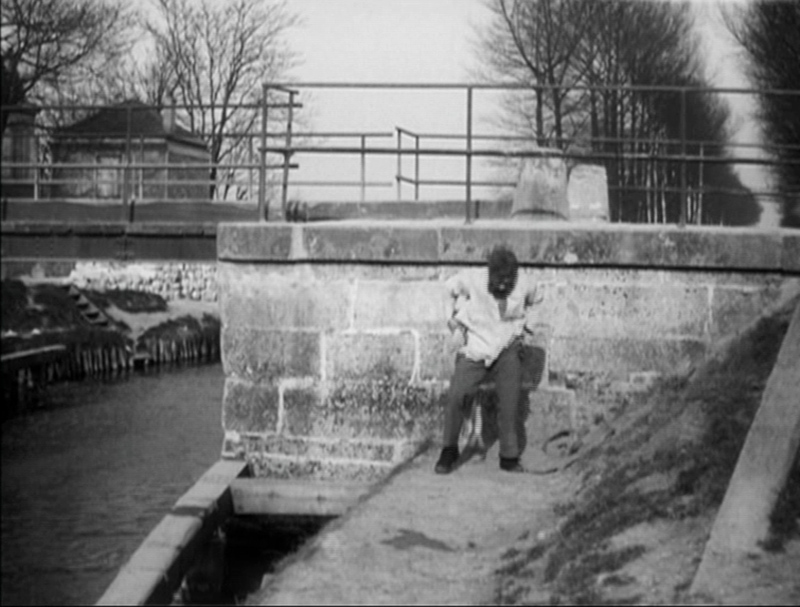 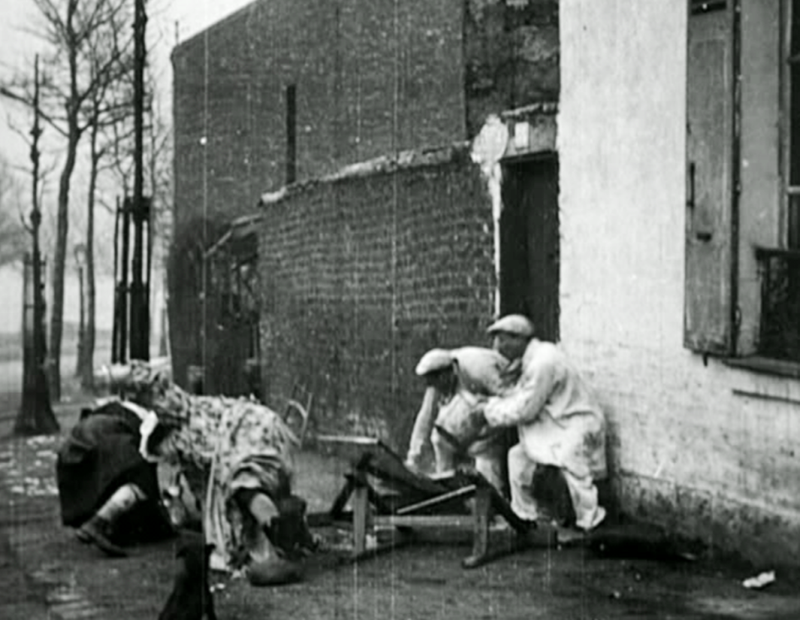 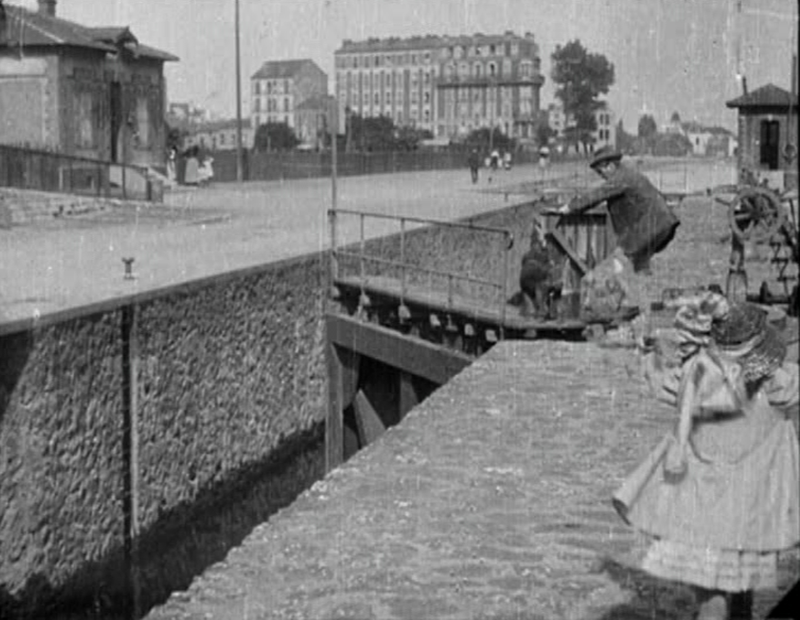 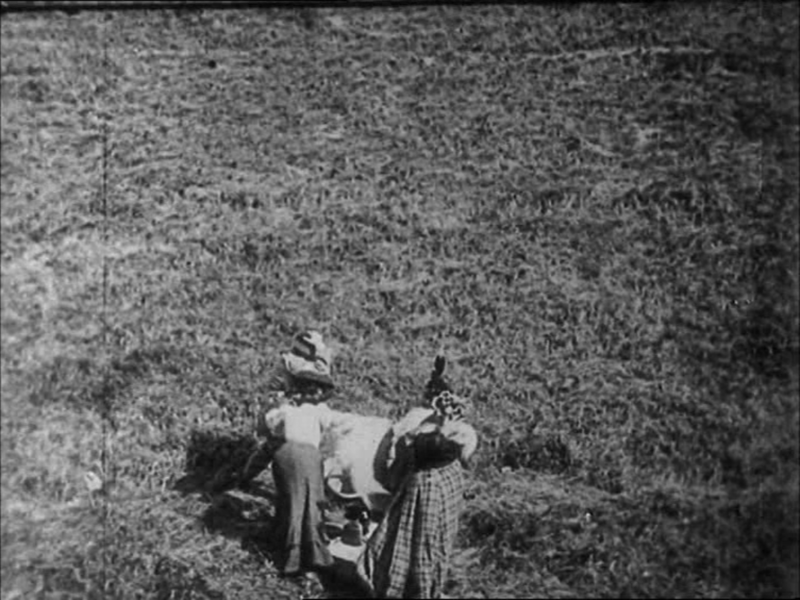 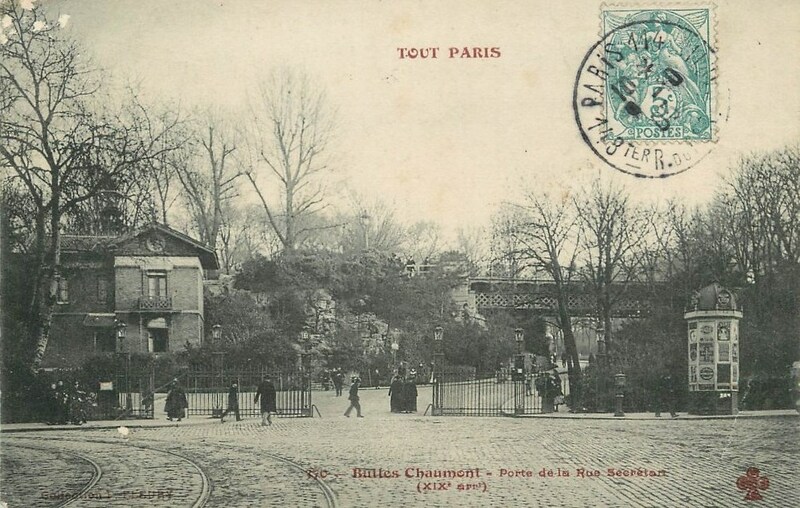 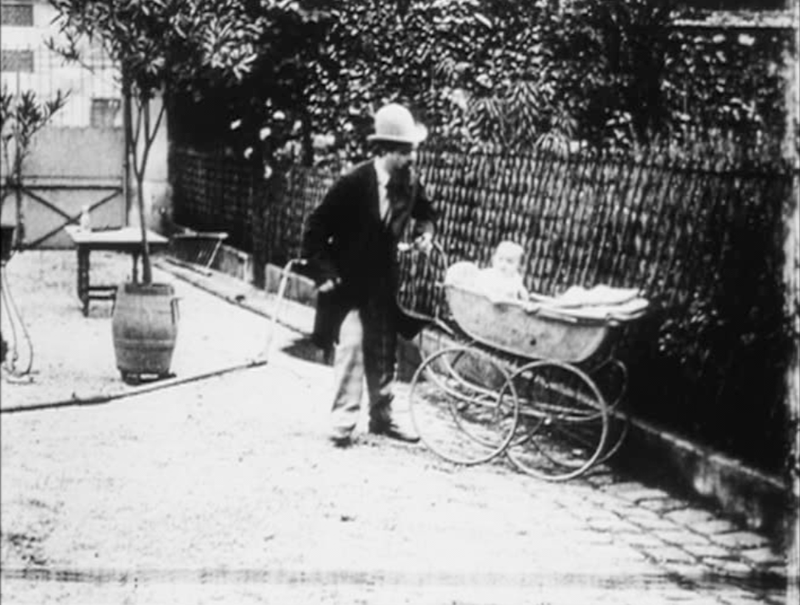 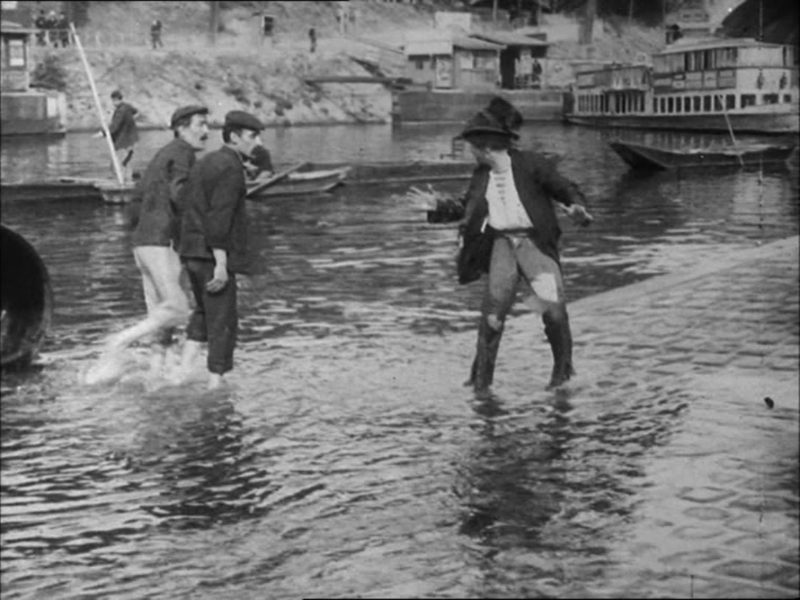 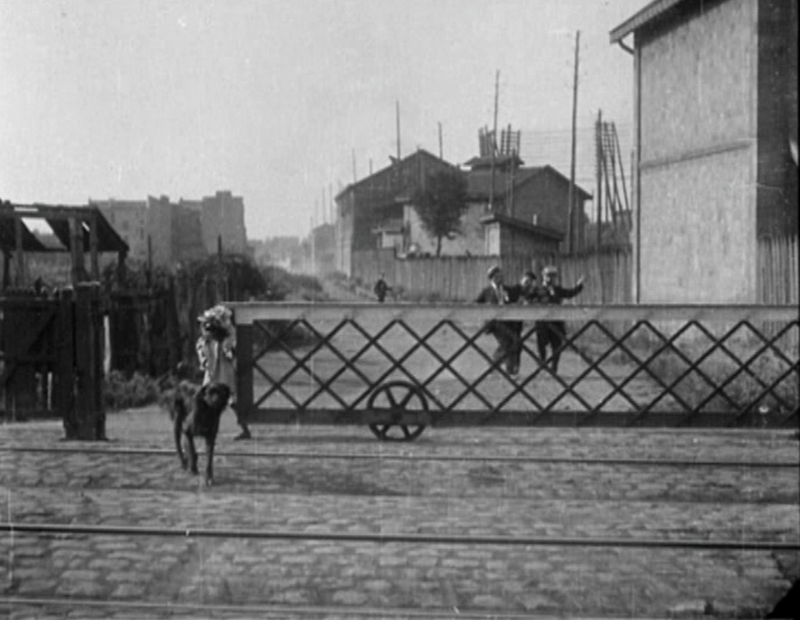 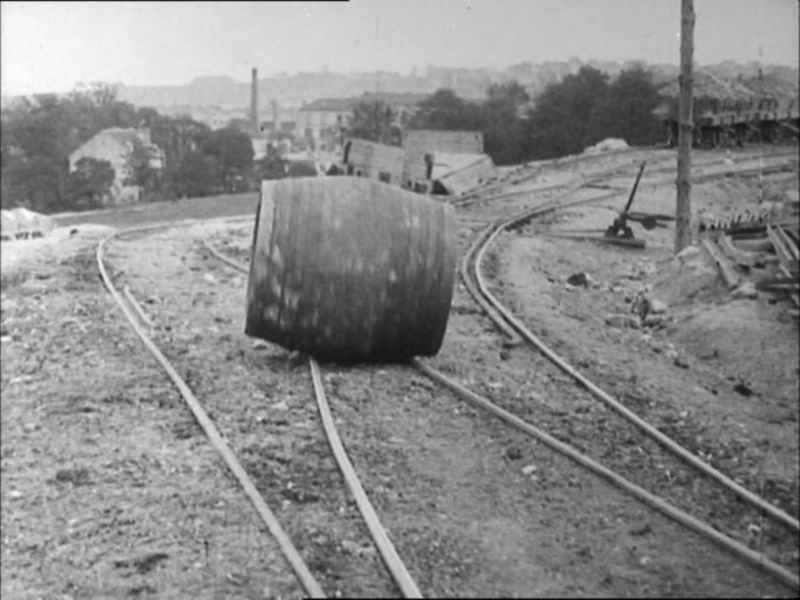 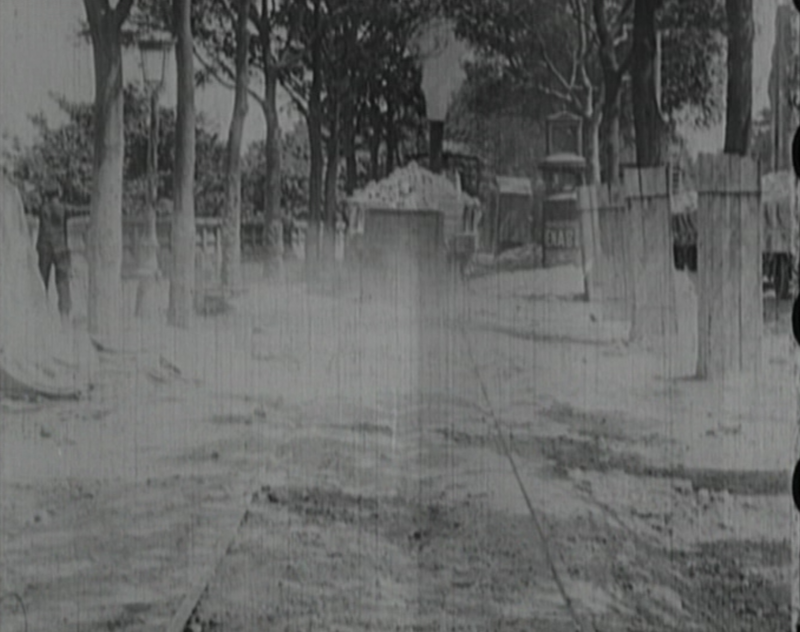 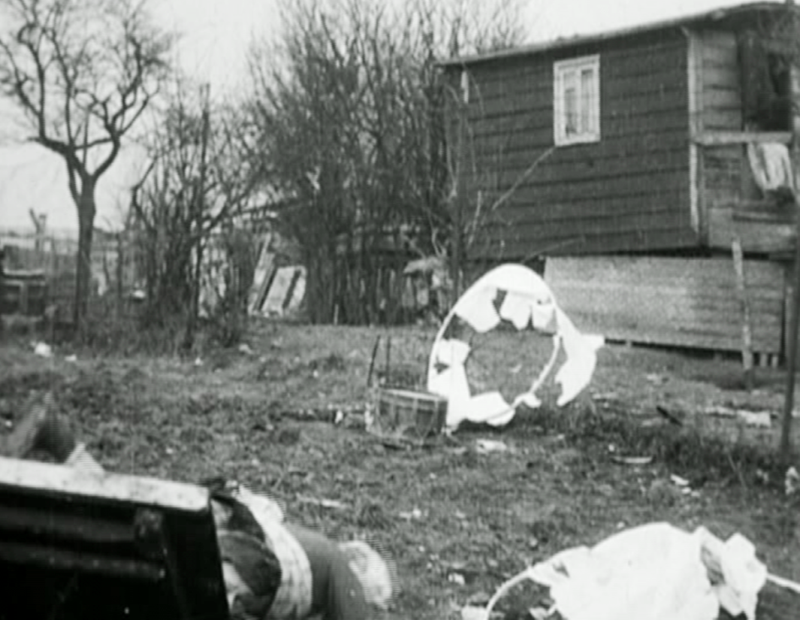 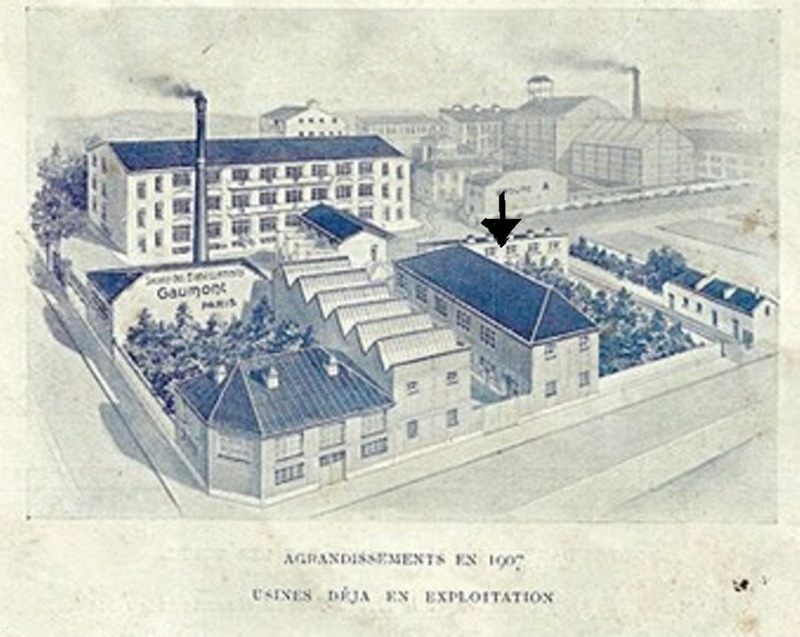 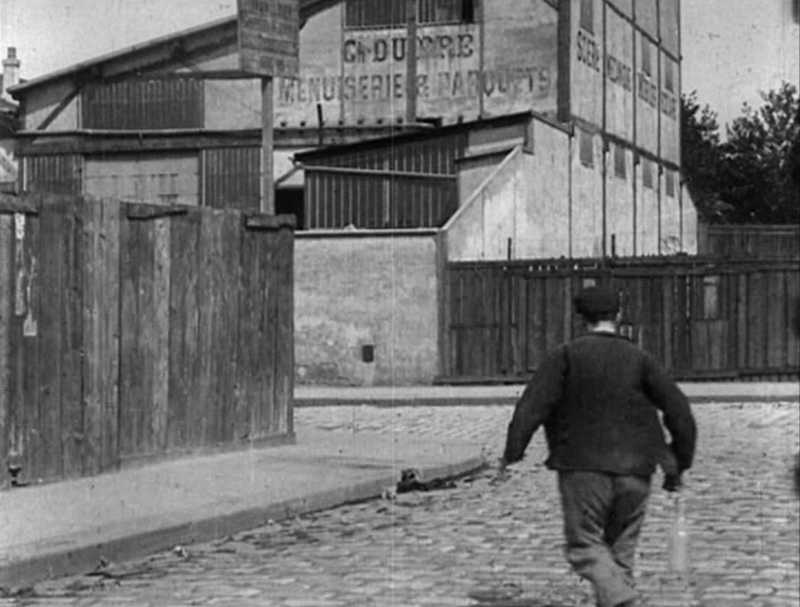 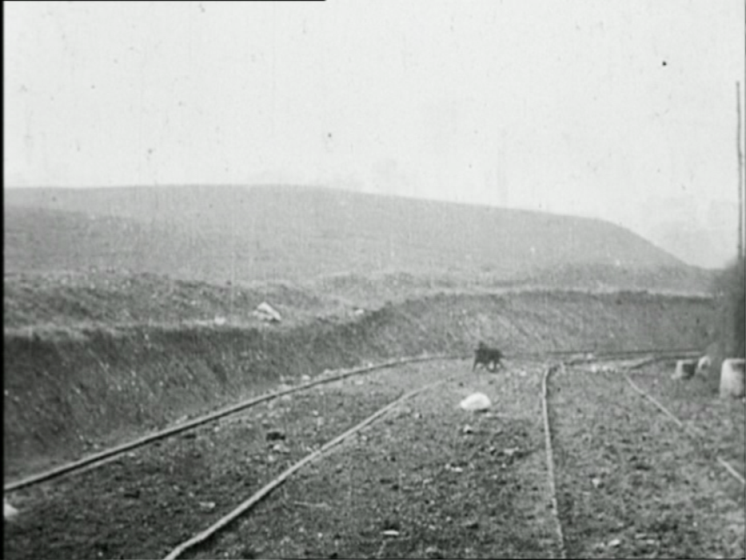 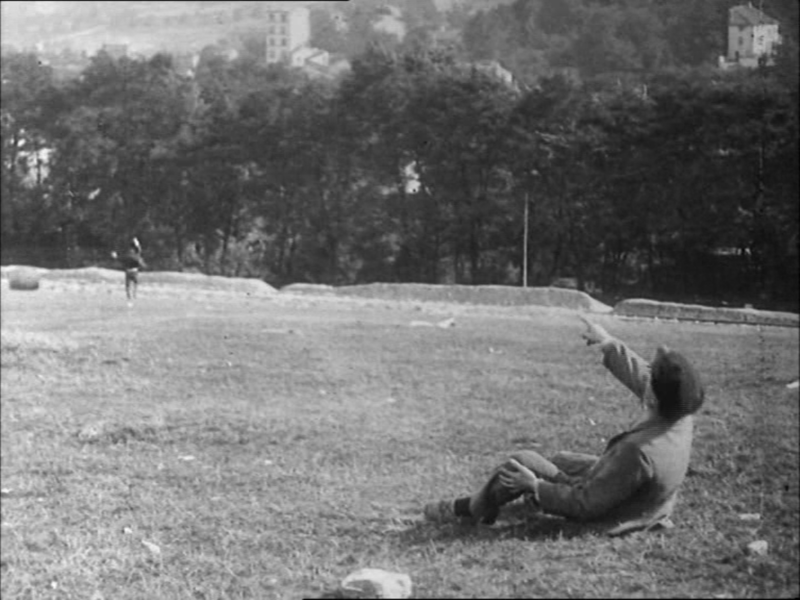 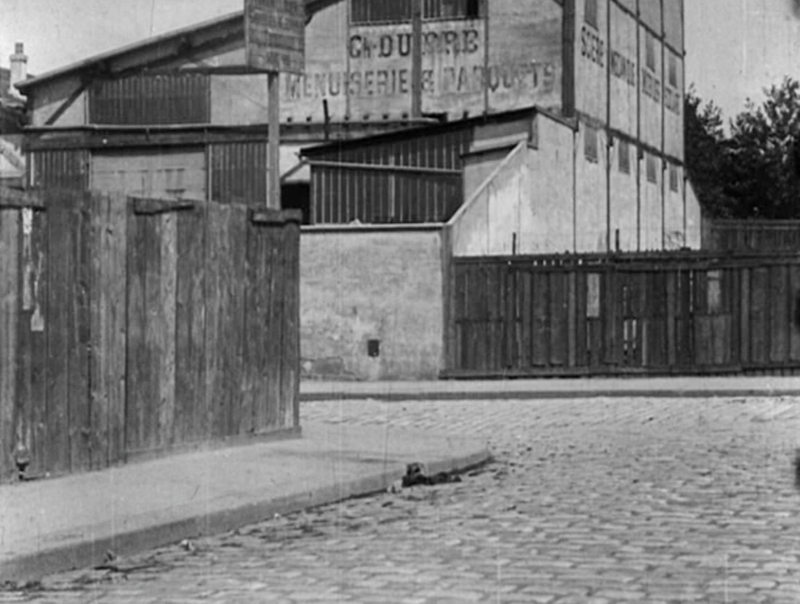 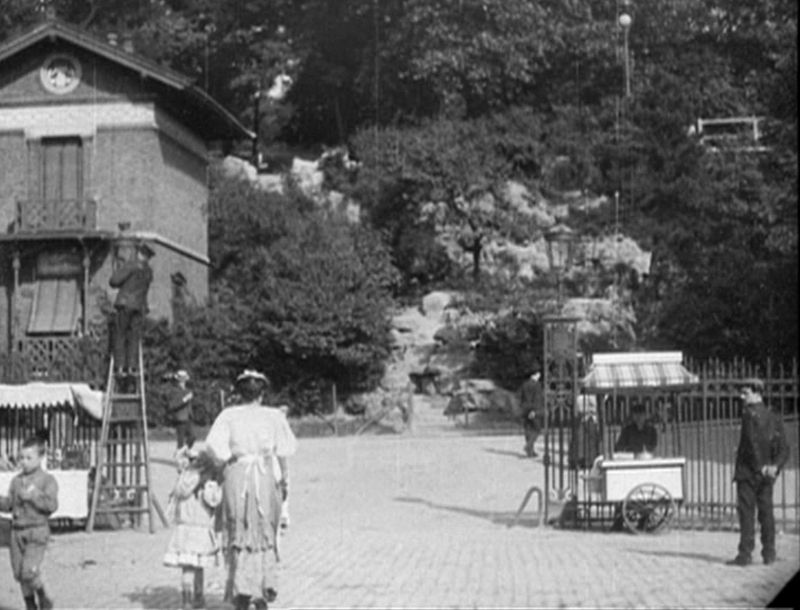 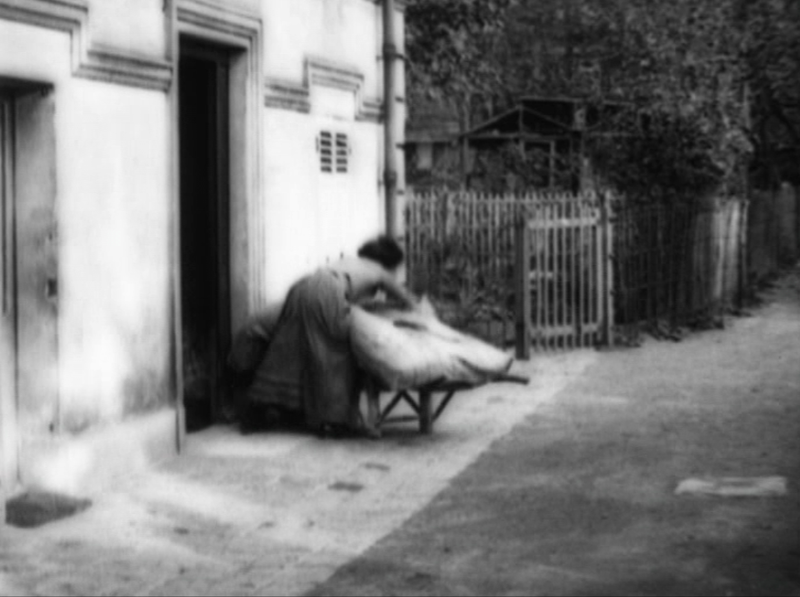 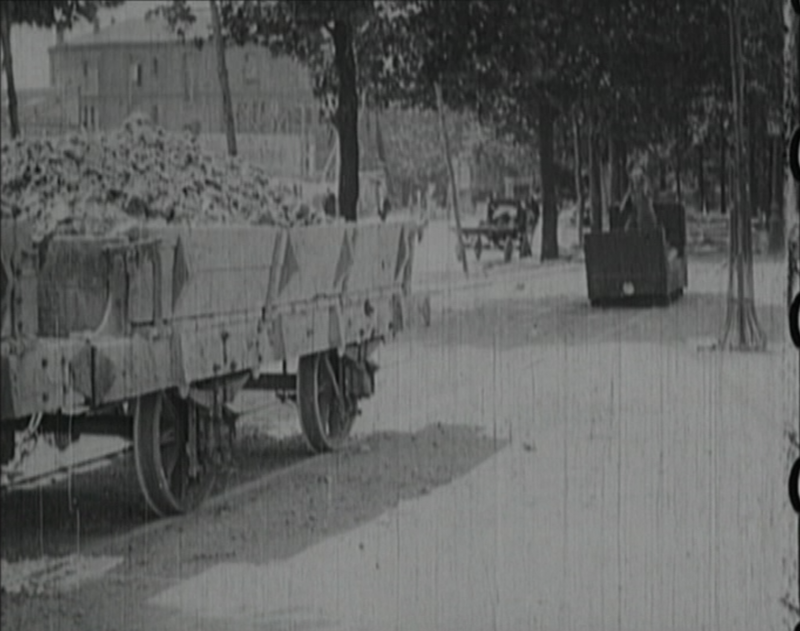 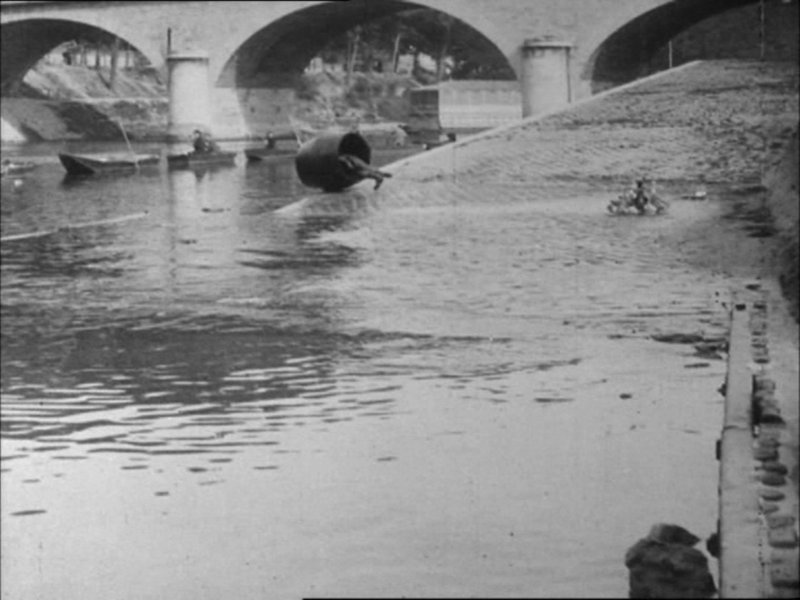 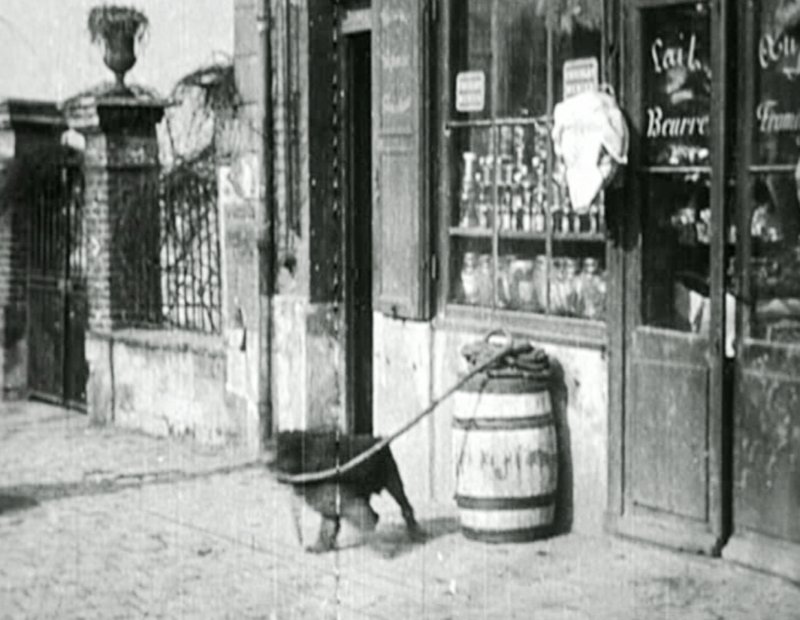 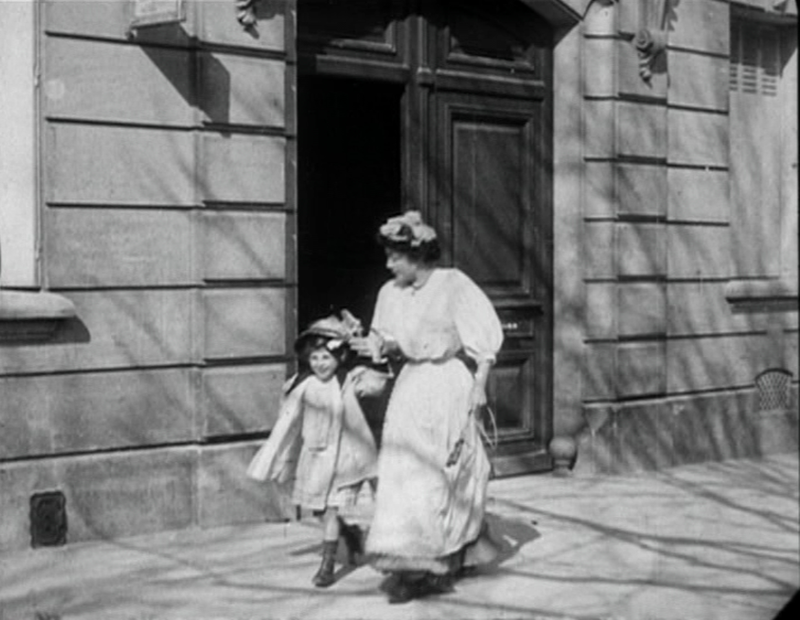 The last exterior, like the first, is unidentified, though given the film's concentration around the Cité Elgé it is hard to believe that this is not also in that vicinity. 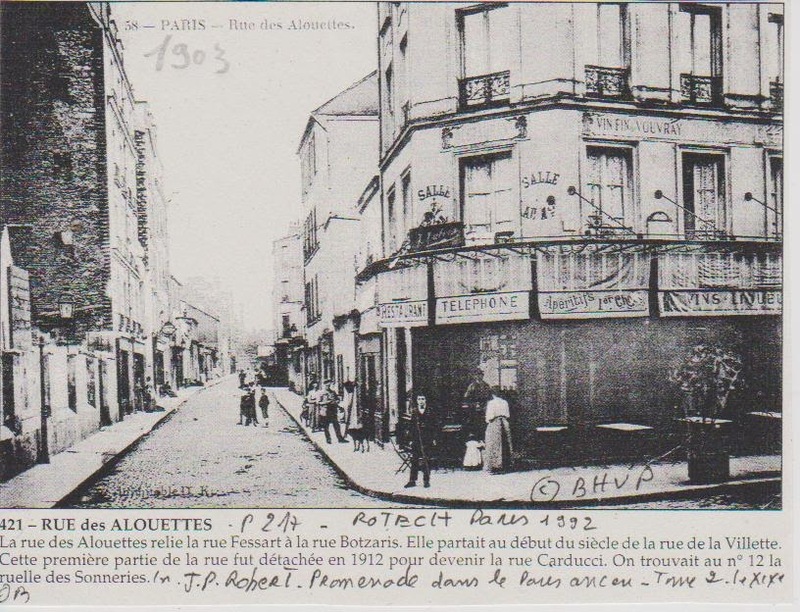 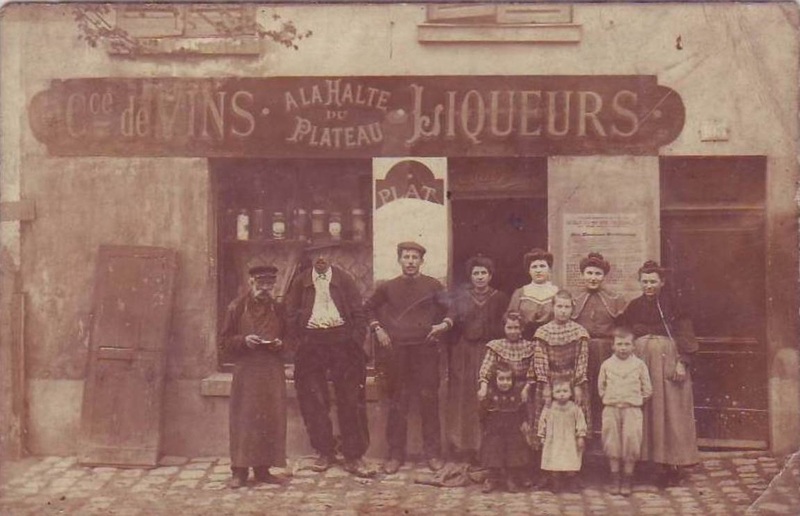 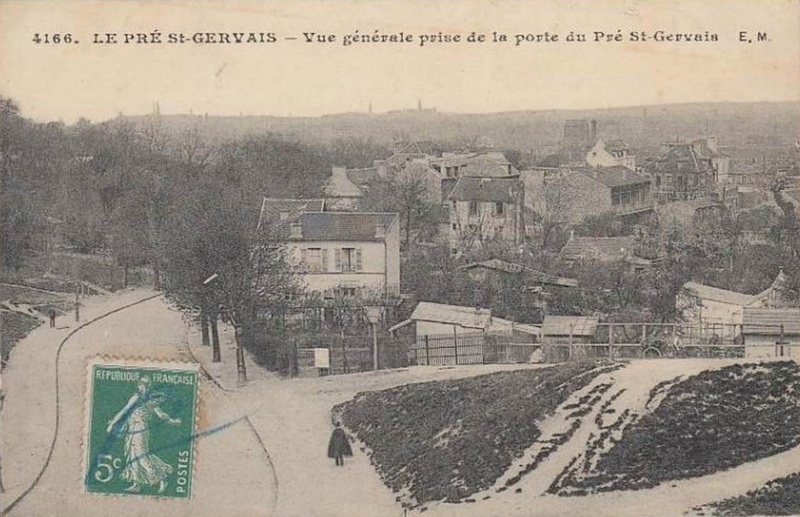 The slope of the street, the buildings towards the right (of a higher class than those in the first exterior) and the shop labelled 'Sièges Ebénisterie Tapisserie' ought to be good clues, but I haven't found the street yet. 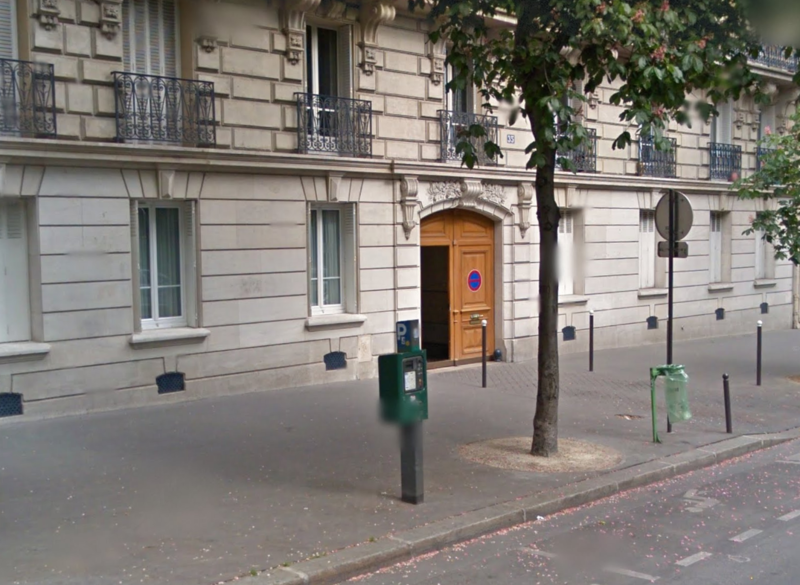 I have marked the building I mean with an arrow, above. 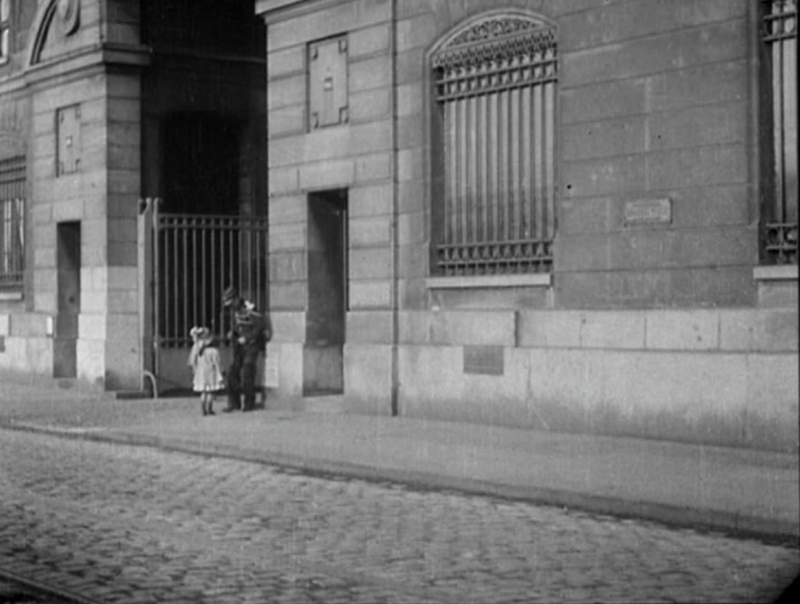 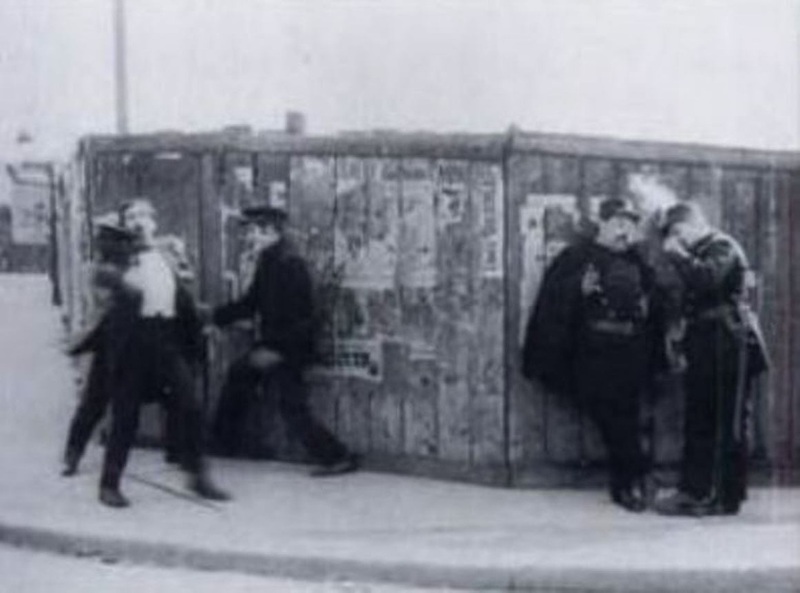 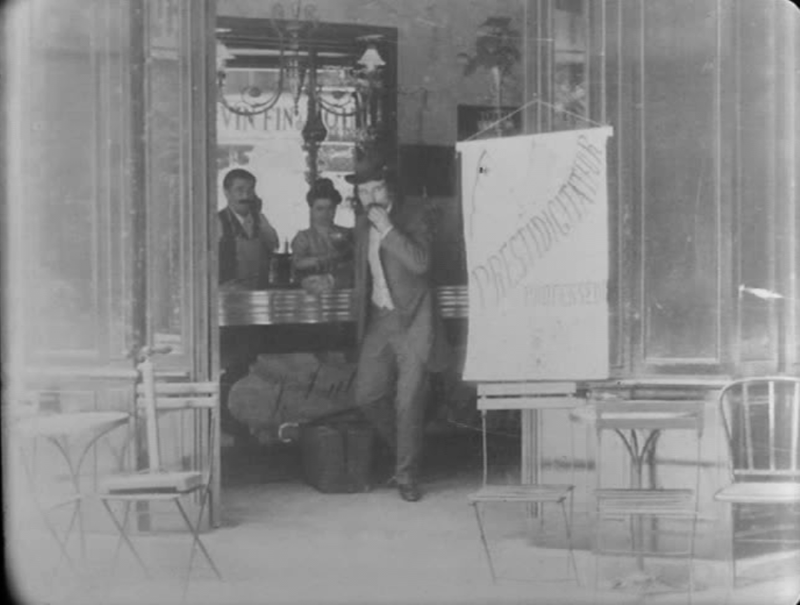 It was replaced by another building c.1909, which would explain why we don't see it in Gaumont productions after that date. 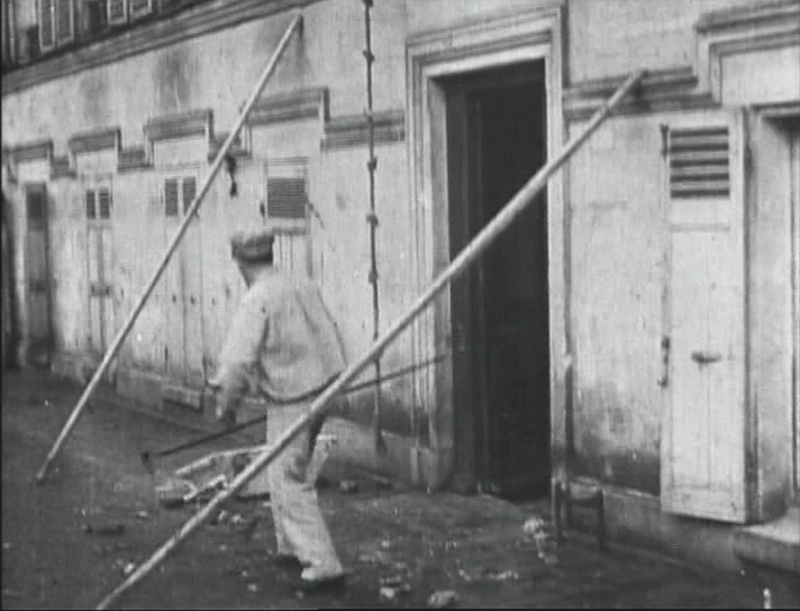 But this is just guess work, and I don't expect to find evidence to prove or disprove my guess. 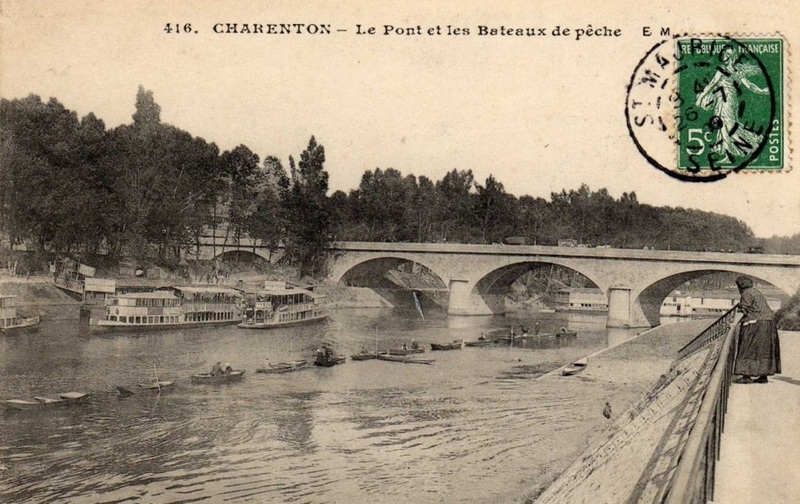 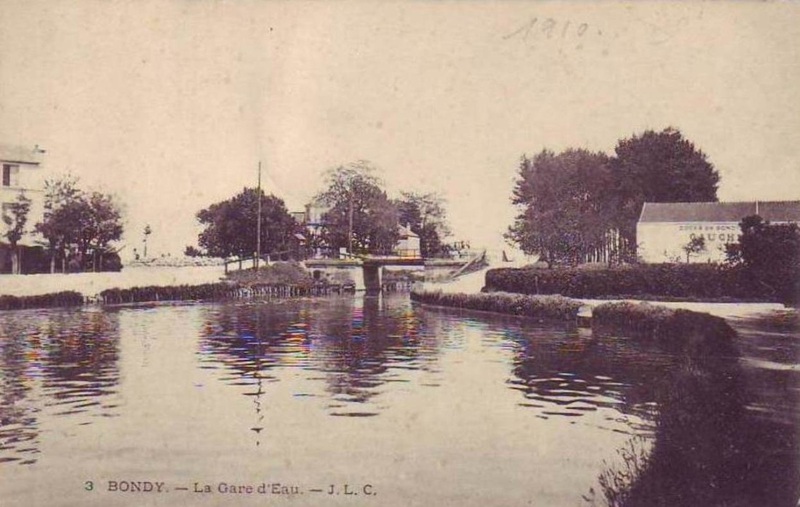 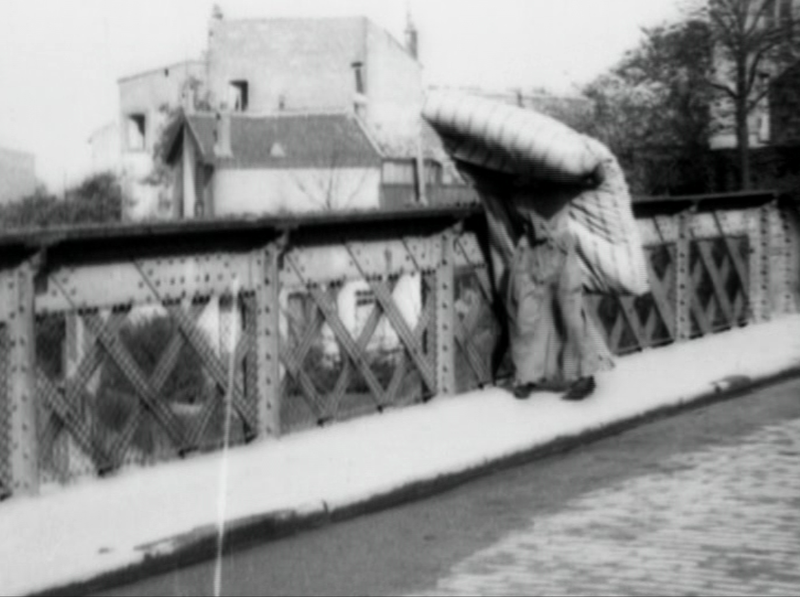 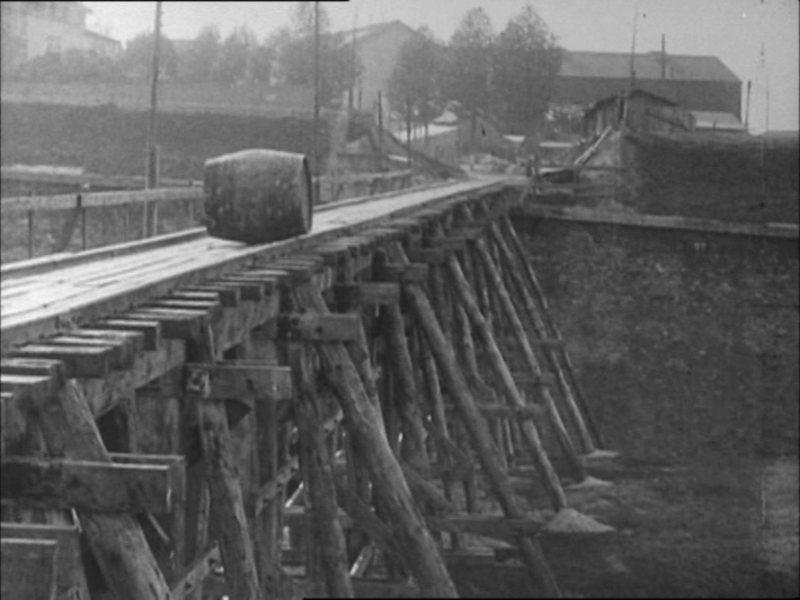 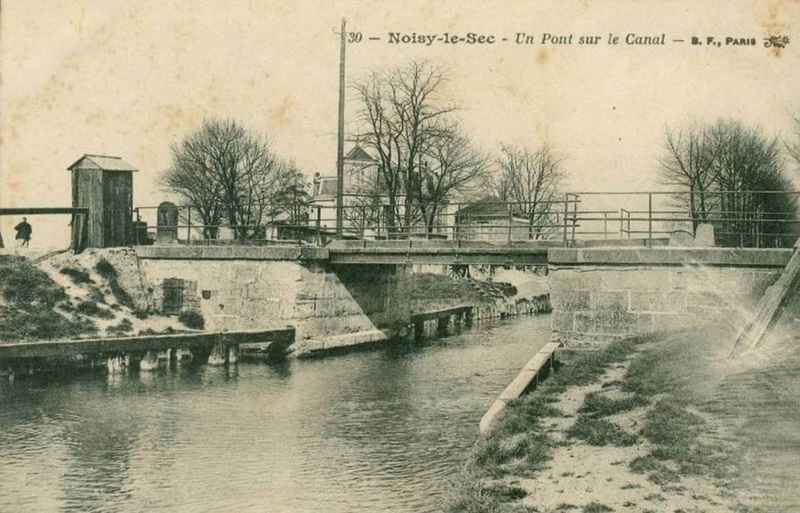 A different bridge now spans the Marne here. 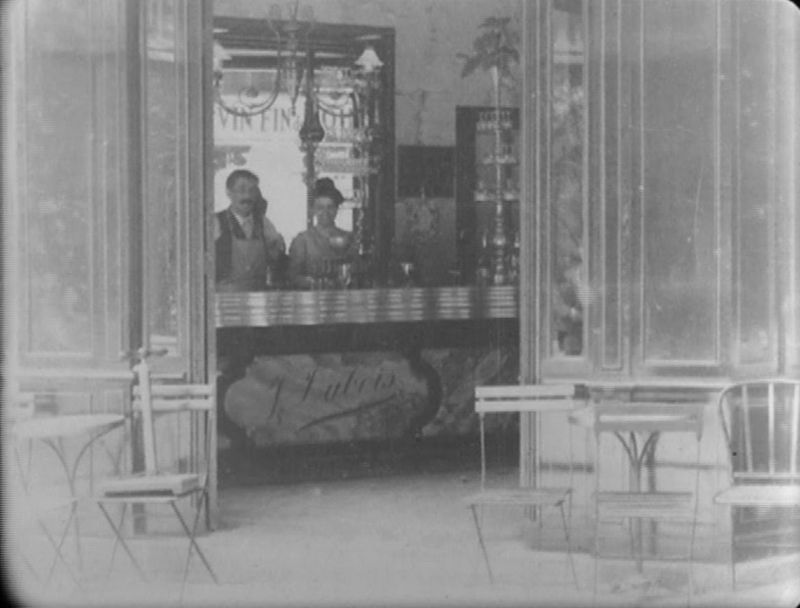 The café name further implies that it is somewhere near a tram stop ('halte'). 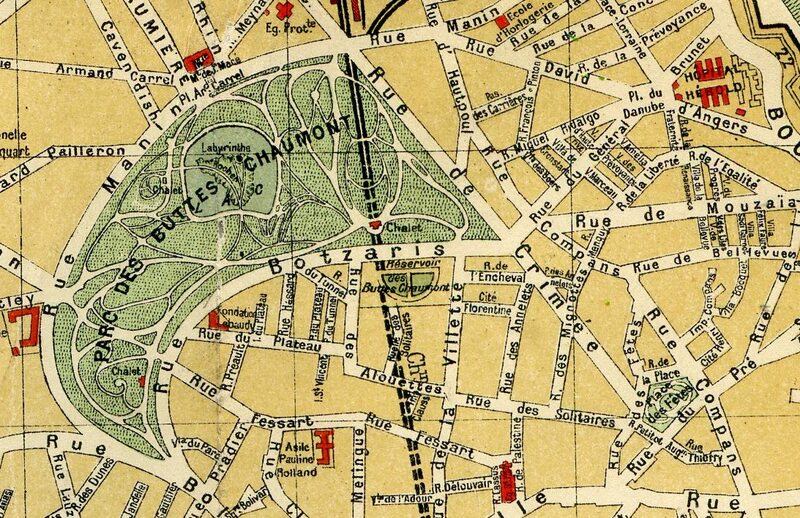 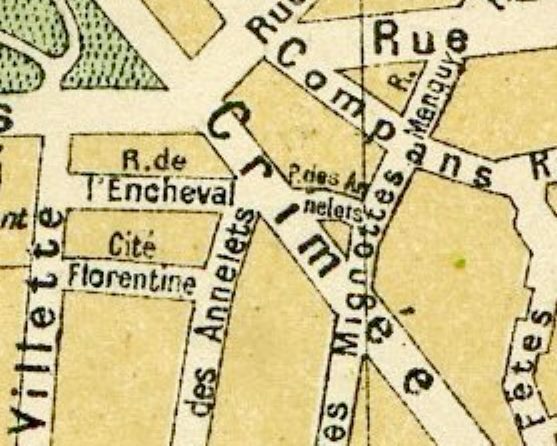 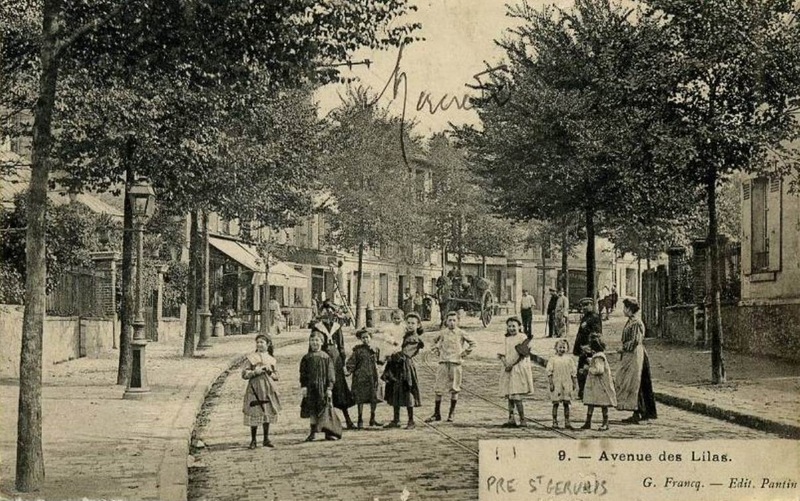 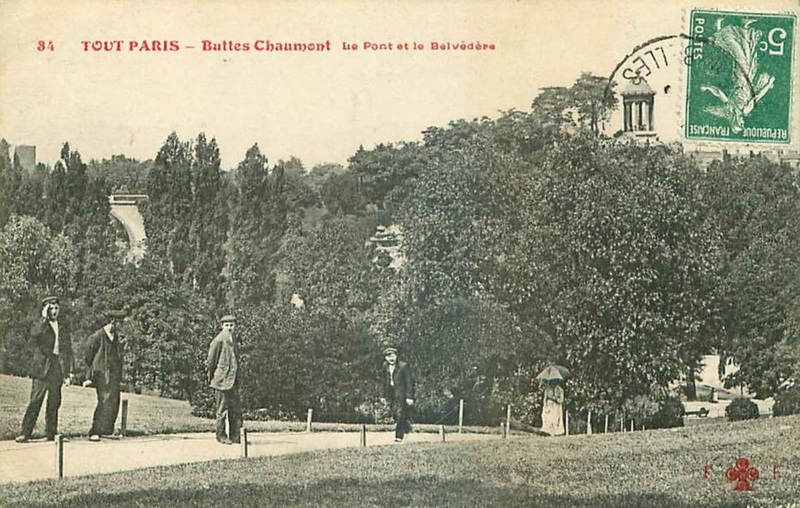 Trams ran along the avenue des Lilas, so my guess is that the café is near the junction of that street with the rue du Plateau. 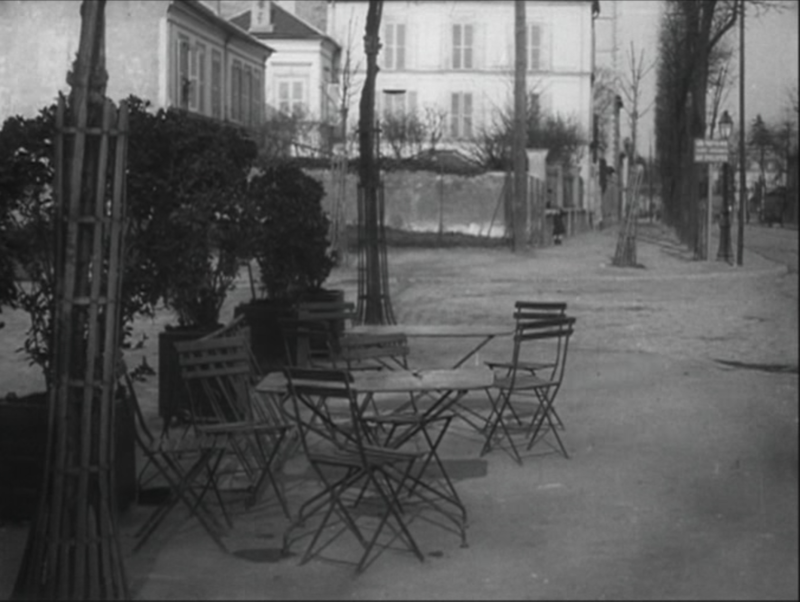 There are no buildings there now that match the café or the building beyond it, so this is just conjecture. 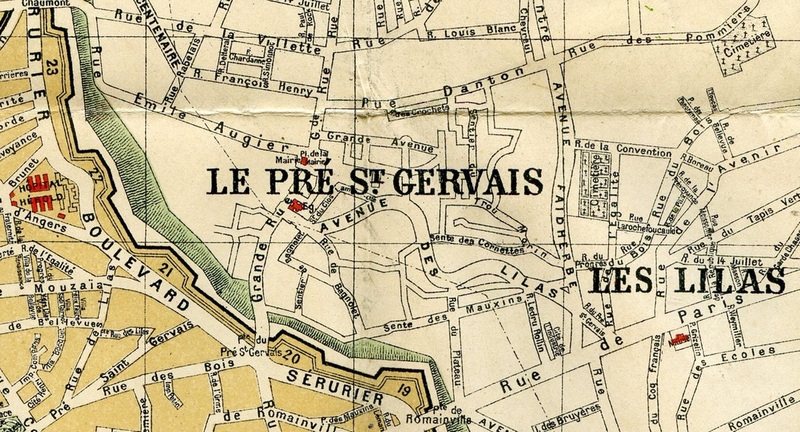 I have already mentioned above the one location I am sure of, and discussed it more fully in a post here. 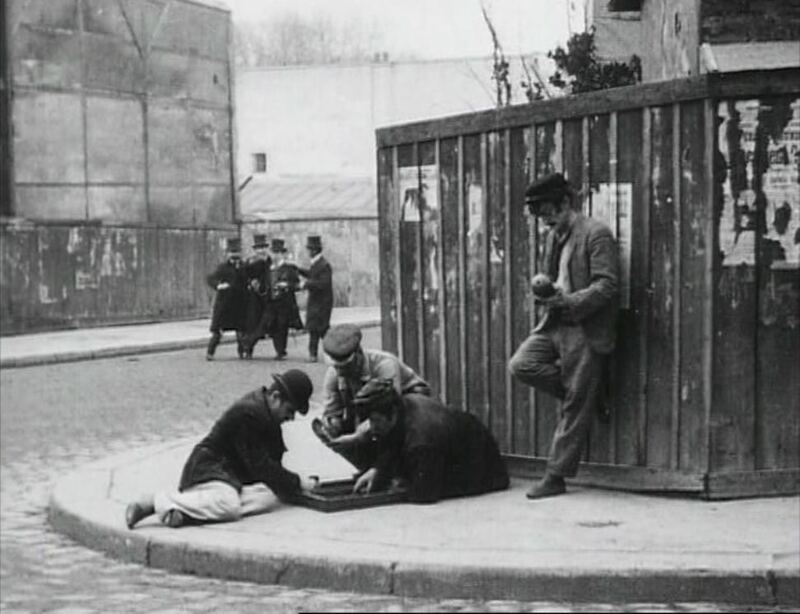 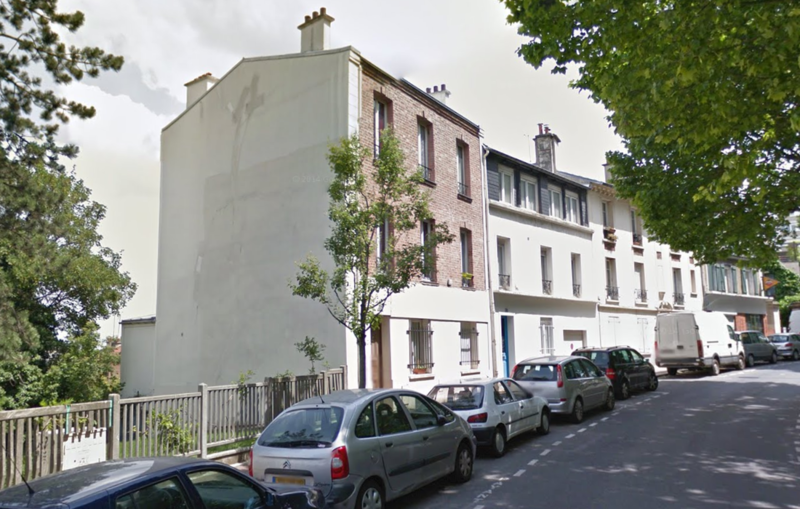 I find it hard to believe that this isn't also a street near the Cité Elgé, and my guess would be that it is the rue Fessart, at the other end of the rue Préault. 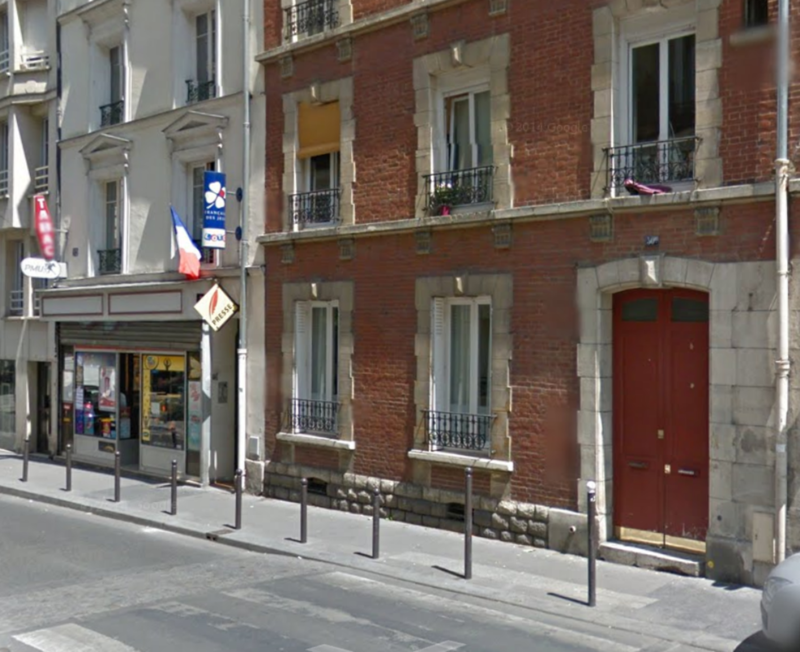 Unfortunately the rue Fessart is now so changed that there is nothing with which to test my theory. 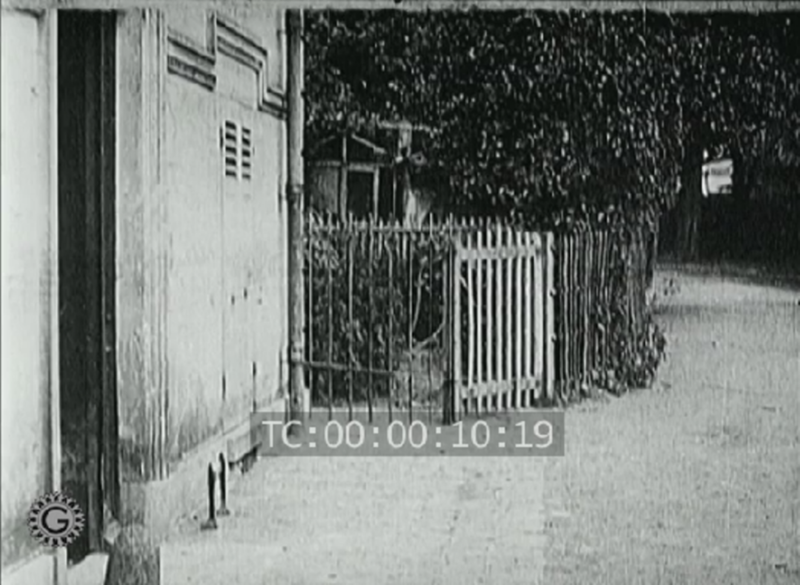 Any images from the past are of other parts of the street. 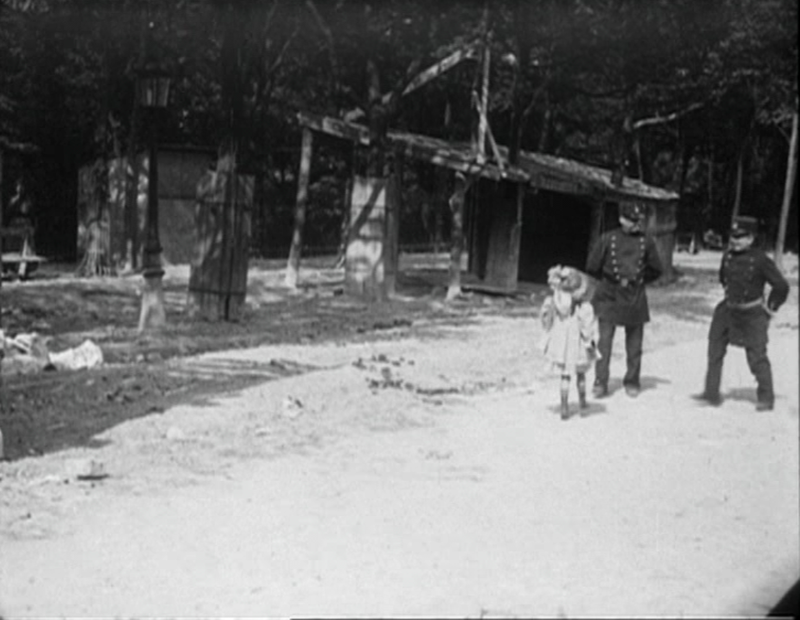 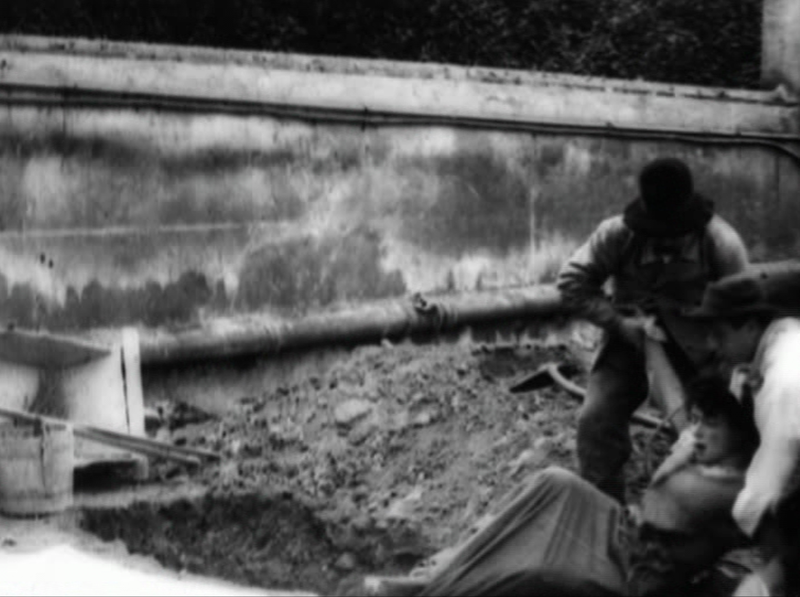 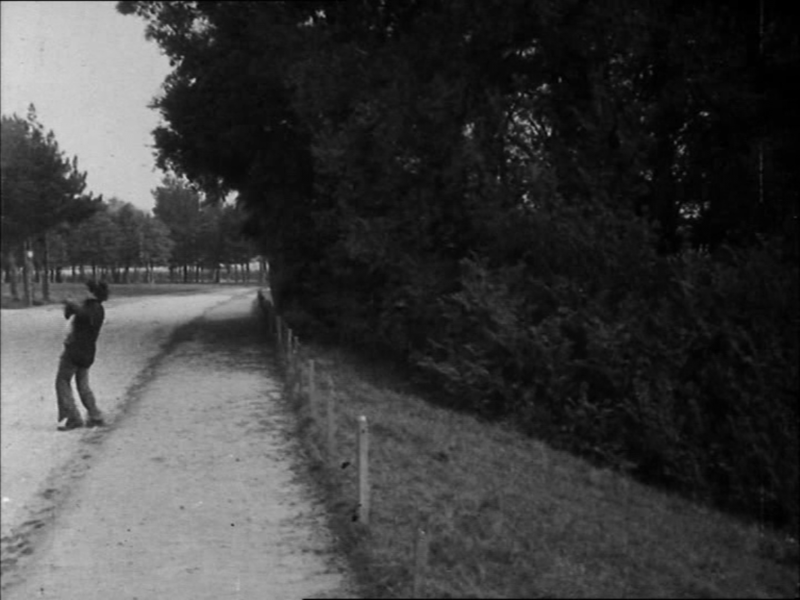 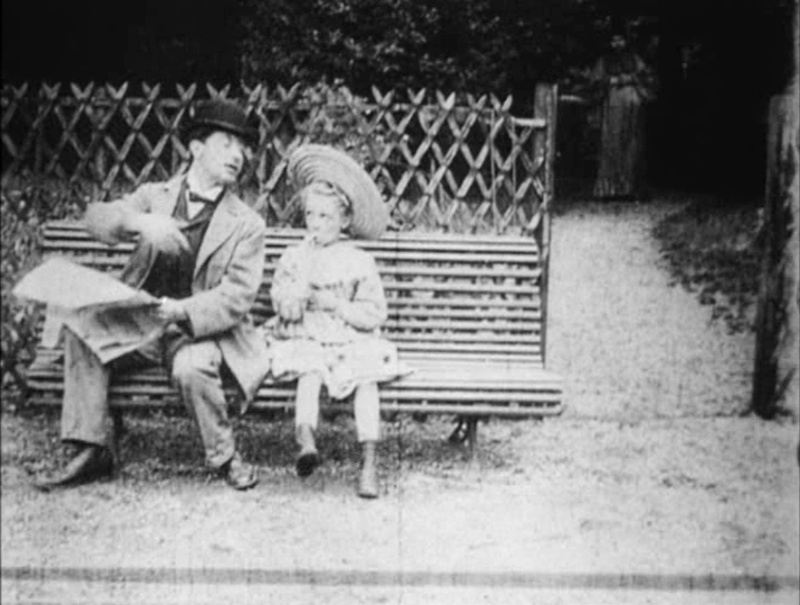 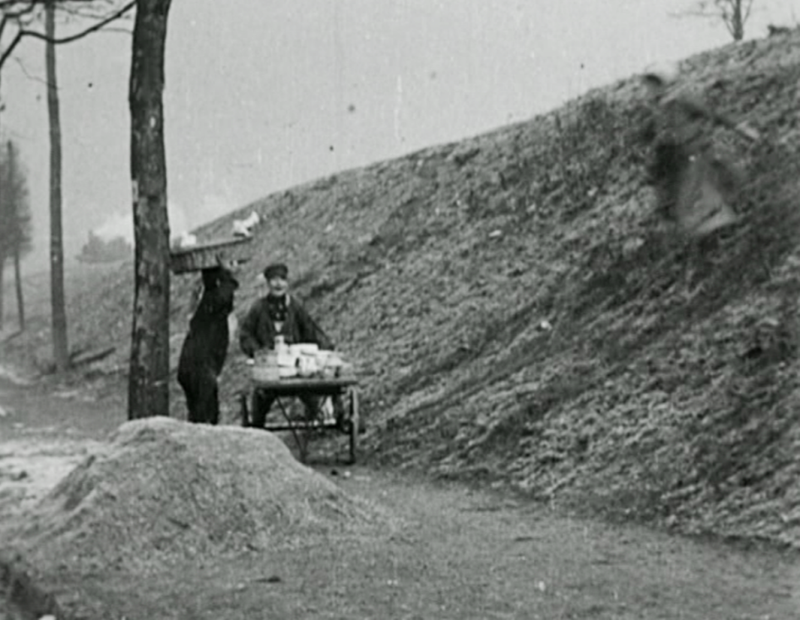 See here for filmmaking by Guy and others in the forêt de Fontainebleau.